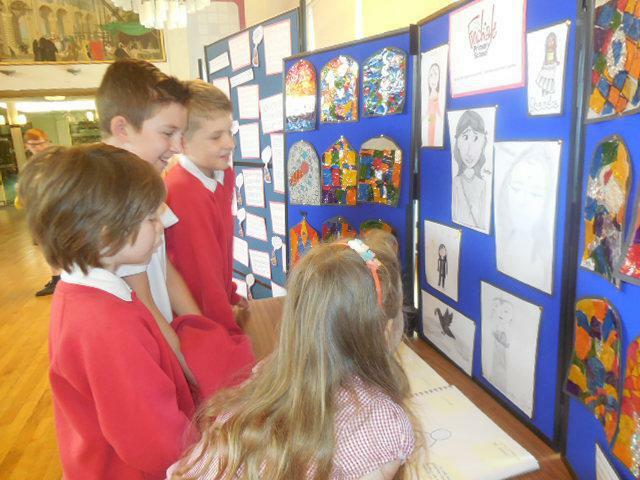 We aim to make this year fun and enjoyable through our creative curriculum. 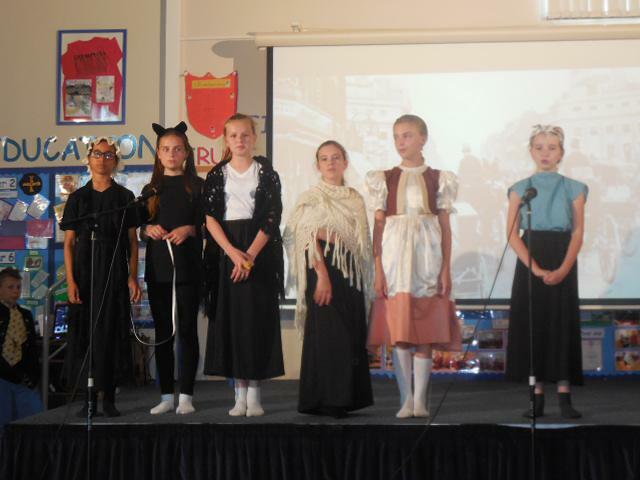 We are covering ‘World War 2’ in the Autumn Term. 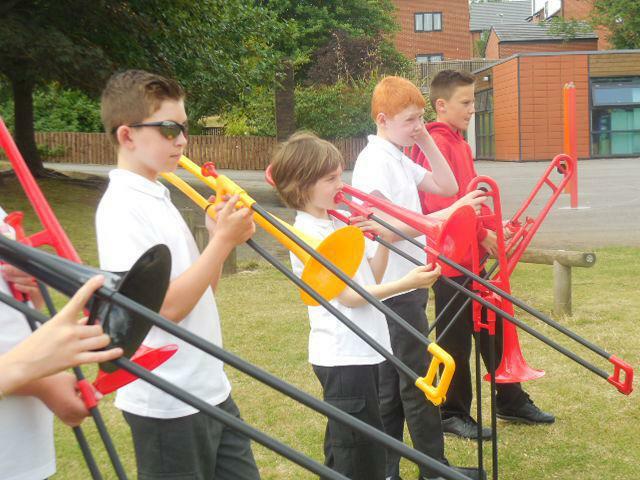 Under this umbrella we are going to be incorporating as many aspects of the curriculum as possible. 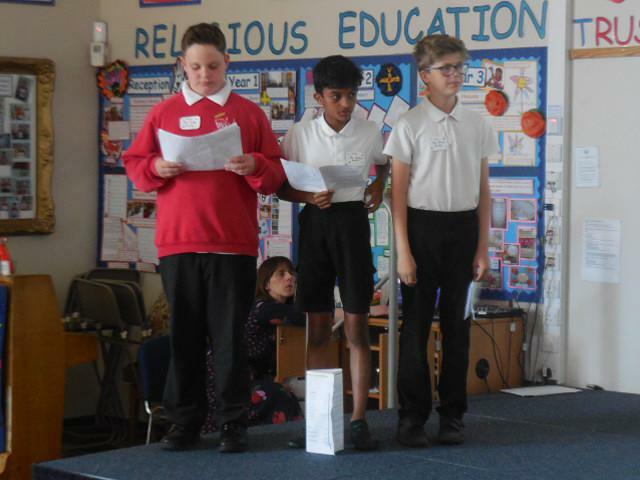 We will then move on to ‘Change’, where we will look at ‘Britain Since the 1930s’ and ‘Crime and Punishment Across the Ages’. 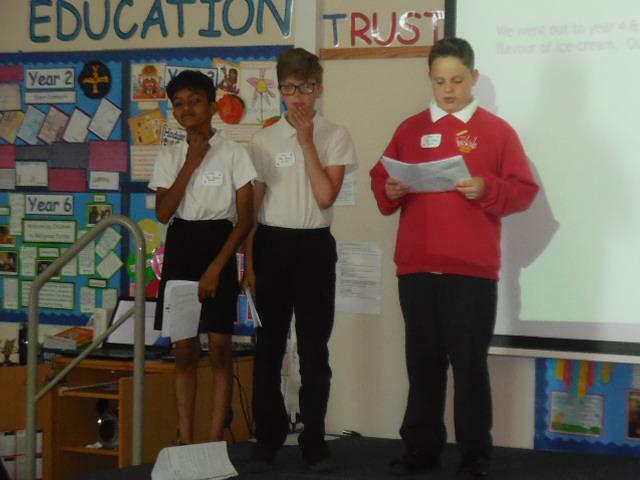 In the Summer Term we will be focusing on ‘Mighty Mountains and South America’, paying particular attention to the country of Brazil. 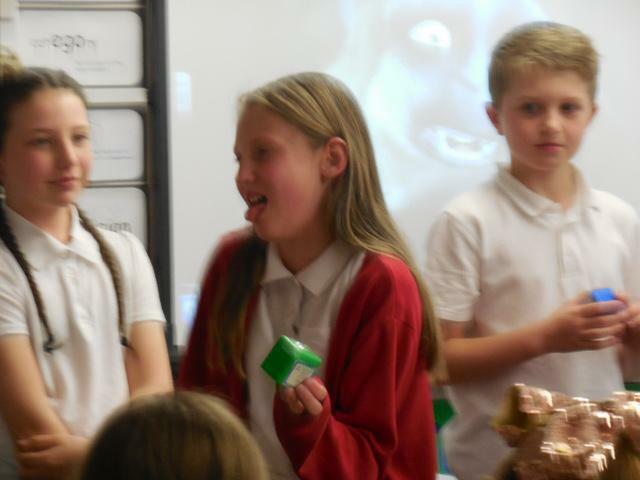 Thank you so much for our thoughtful gifts - you have been very kind. 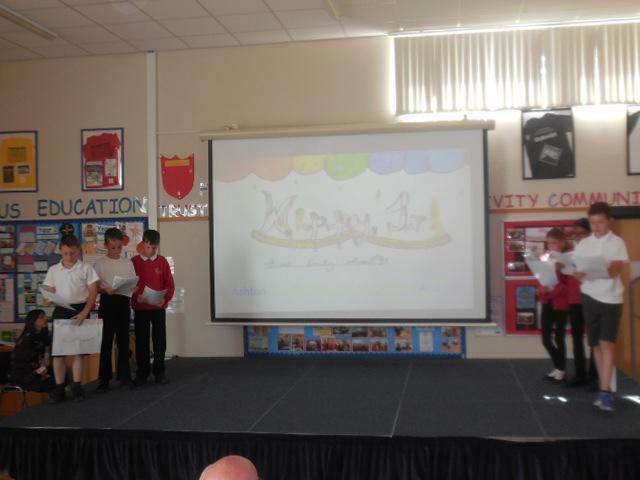 It has been a lovely year which has been full of lots of wonderful memories. 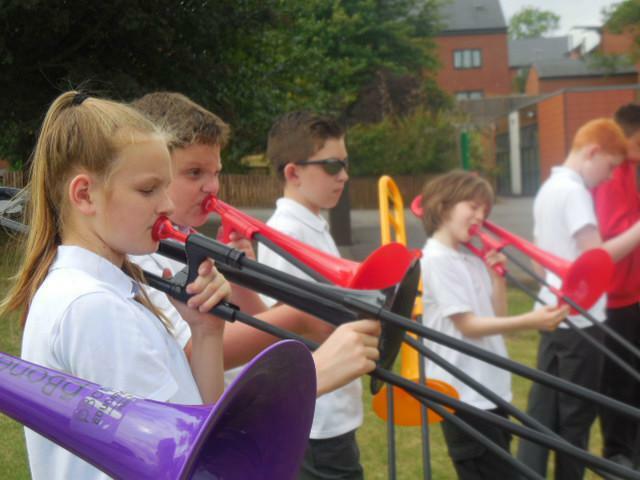 Good luck as you move on to comprehensive school - don't forget to come back and visit us! 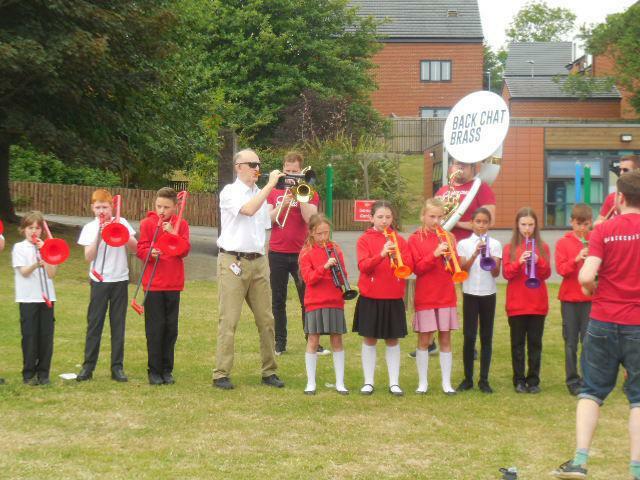 Back Chat Brass are taking part in the Durham Brass Festival. 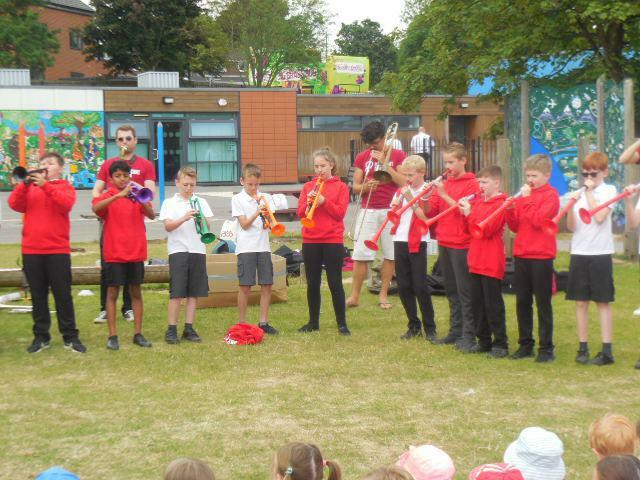 We have been fortunate to have them perform for us in our school. 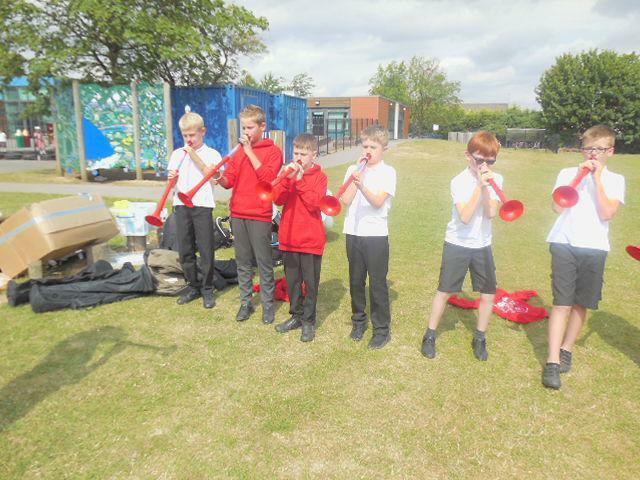 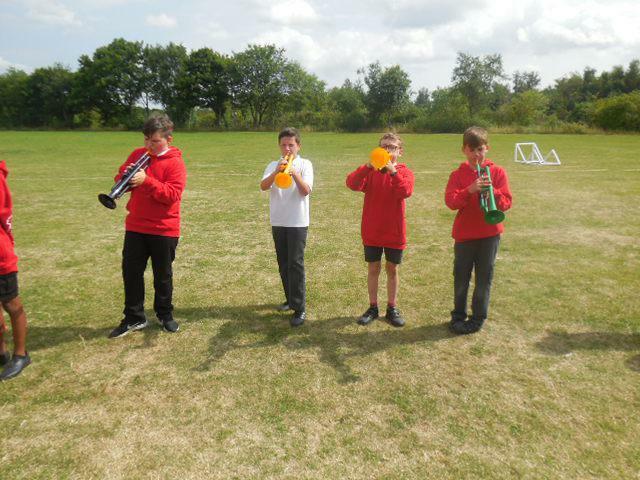 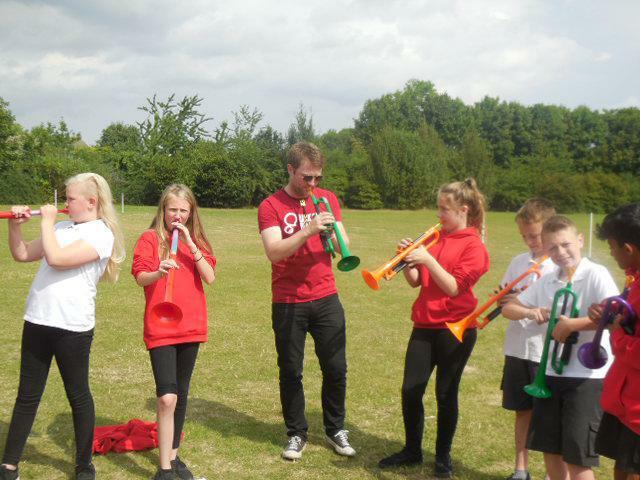 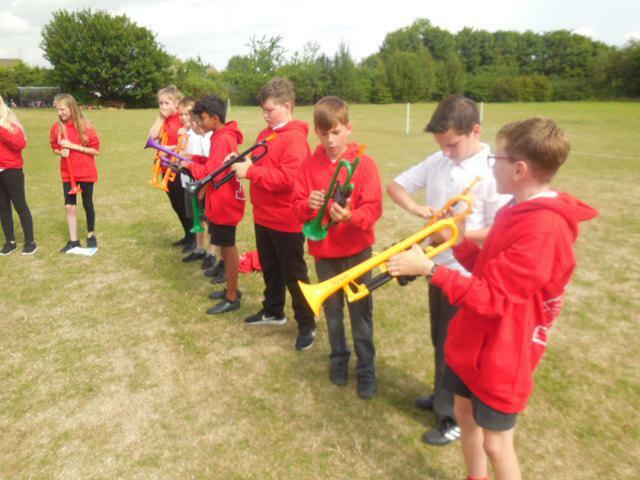 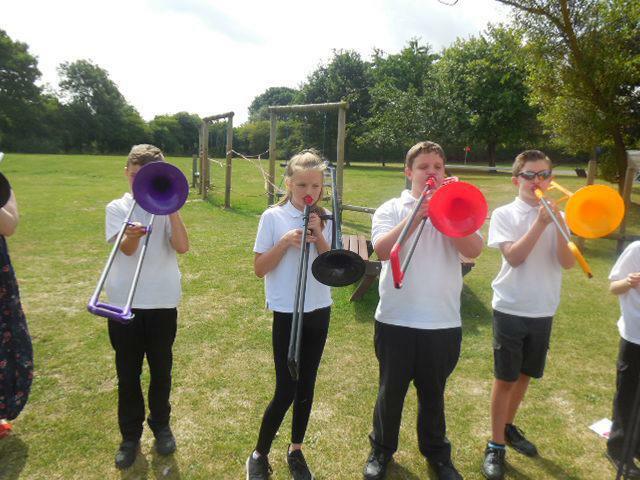 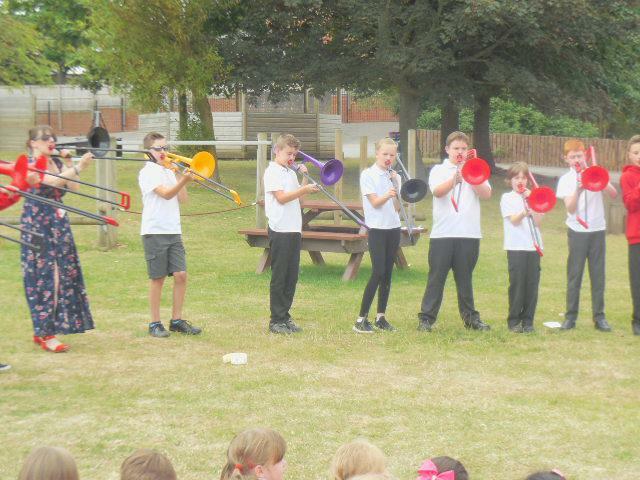 Following their performance, Year 6 pupils had the opportunity to have a session where they learned how to use a range of musical instruments including the plastic trombone and the plastic trumpet. 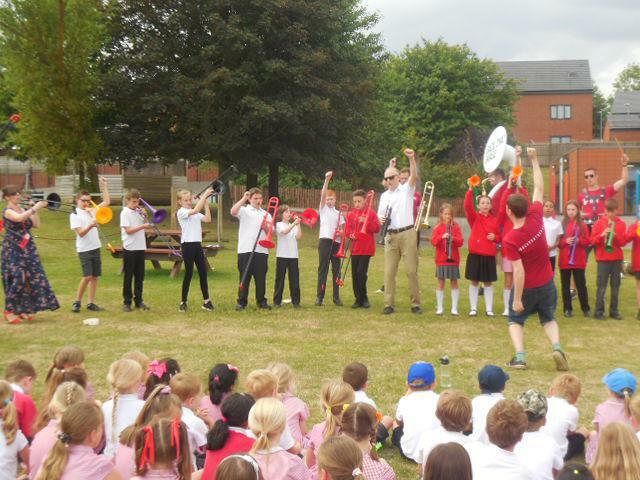 Everyone, including the staff, learned something new and were very proud to perform for the rest of the school alongside Back Chat Brass to the song 'Uptown Funk'. 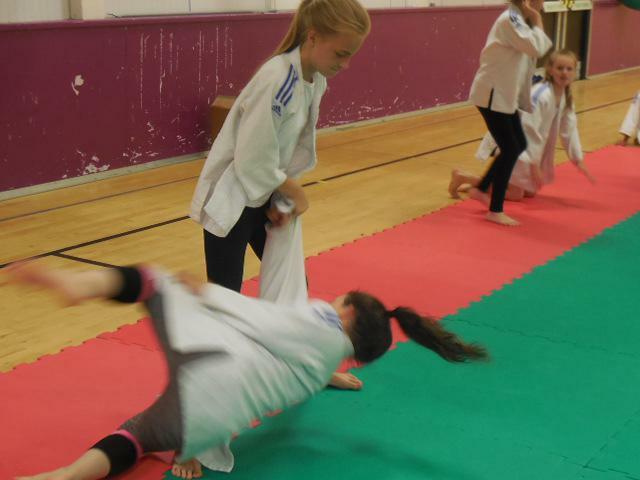 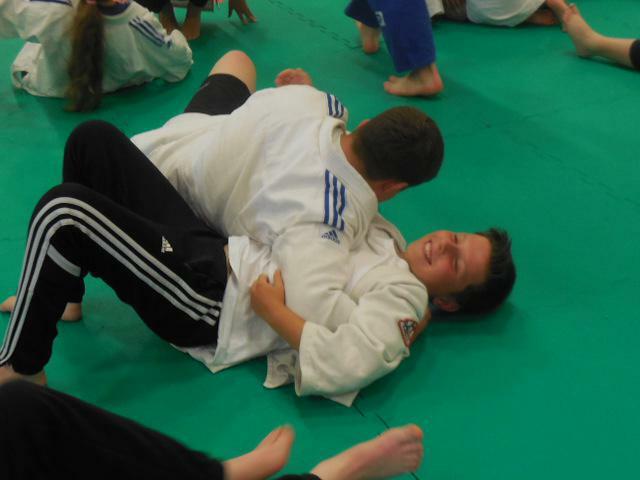 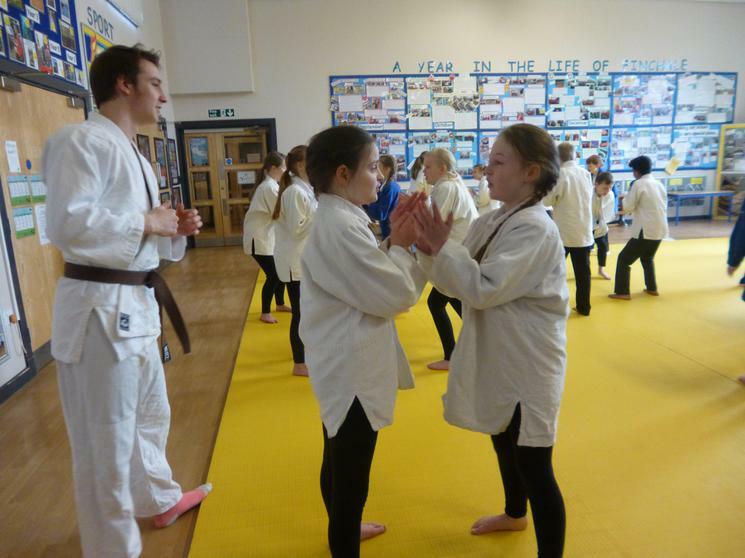 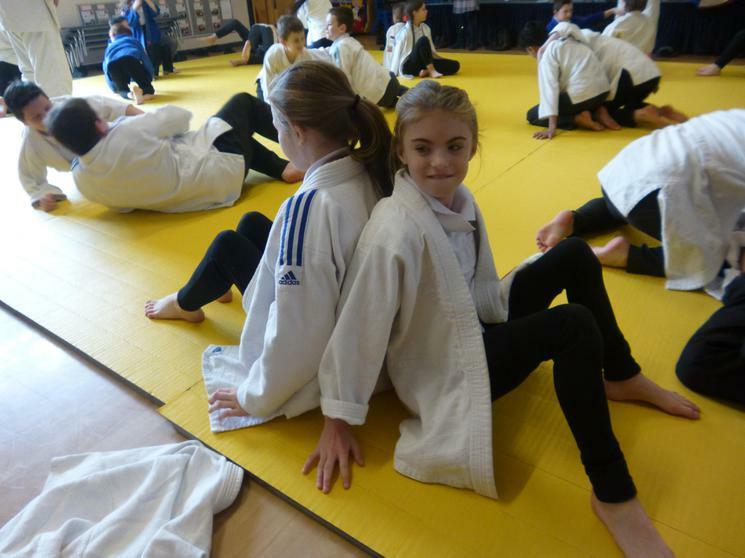 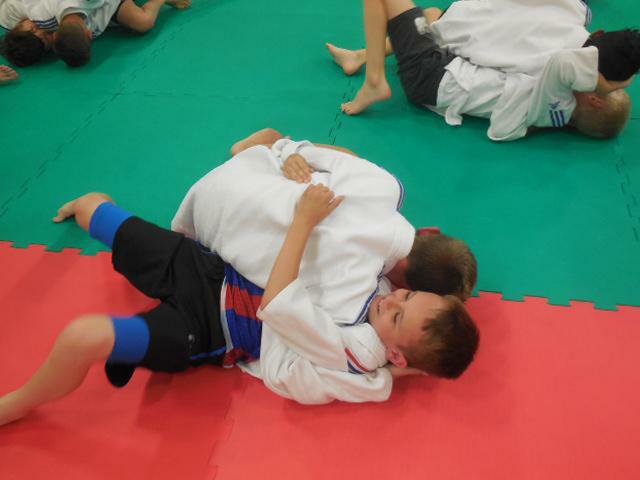 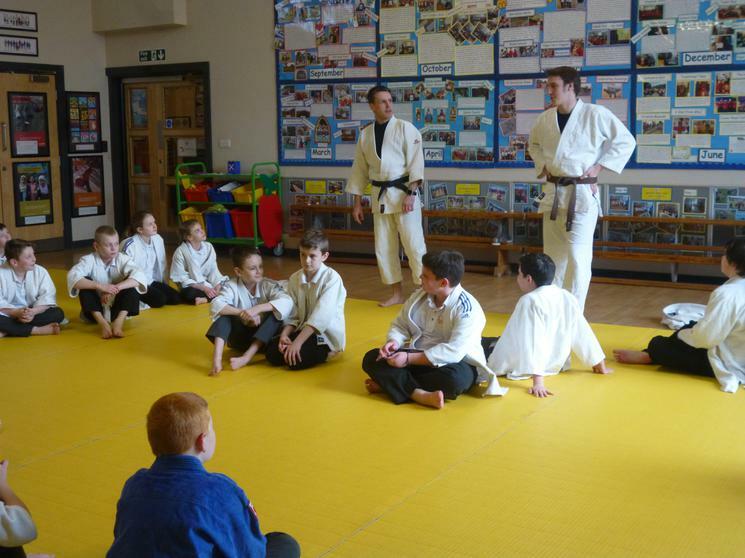 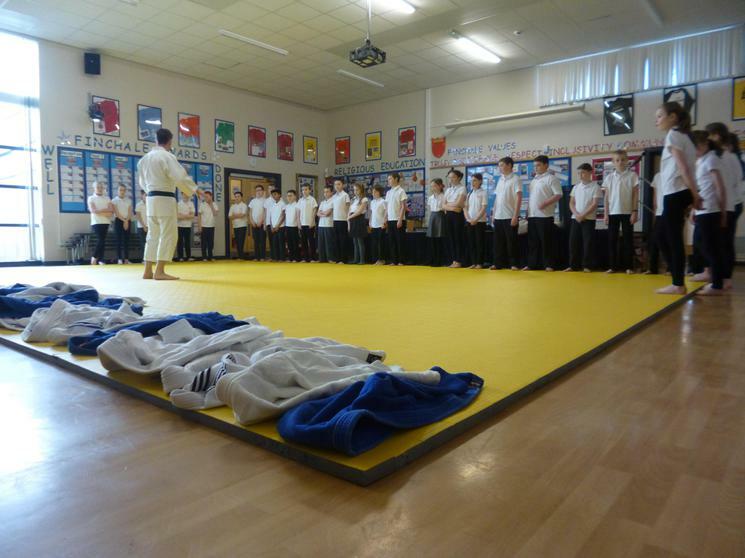 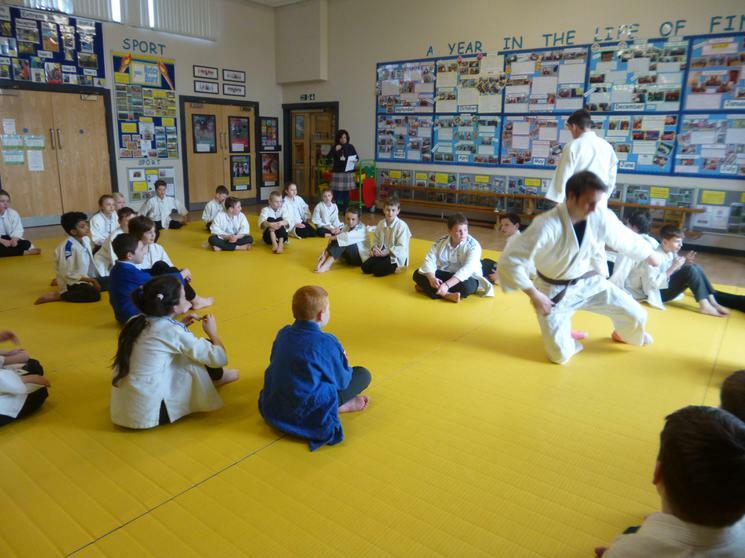 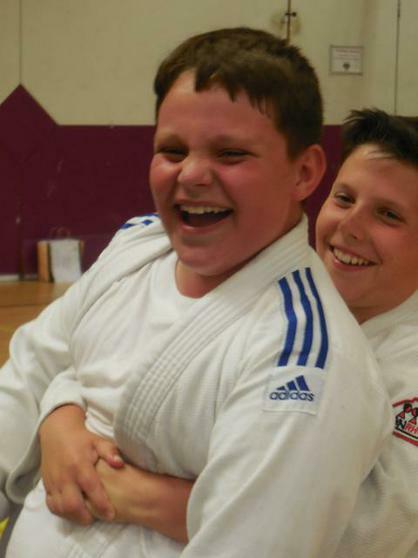 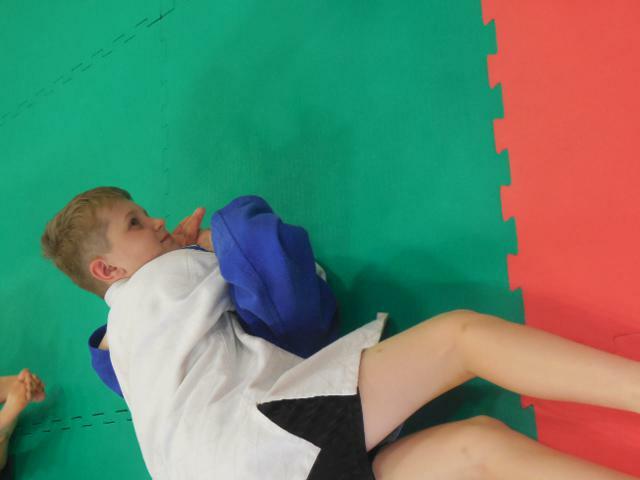 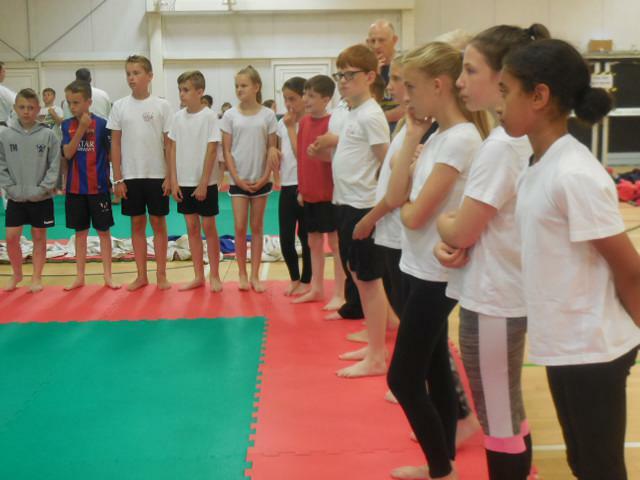 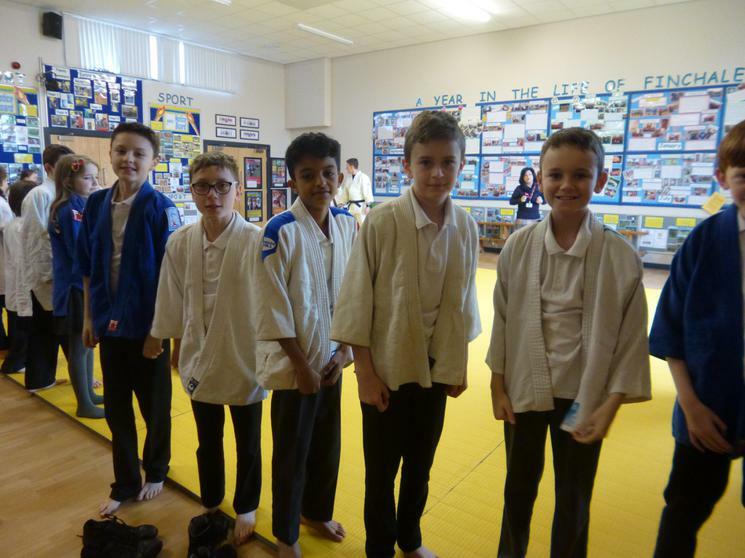 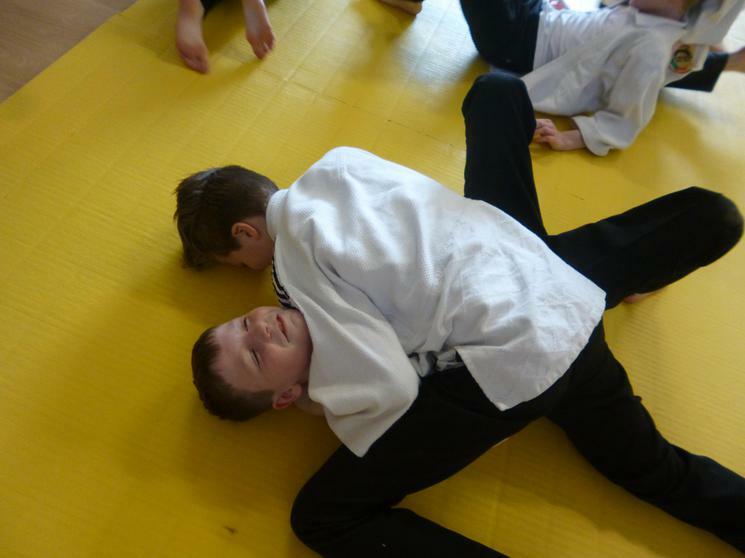 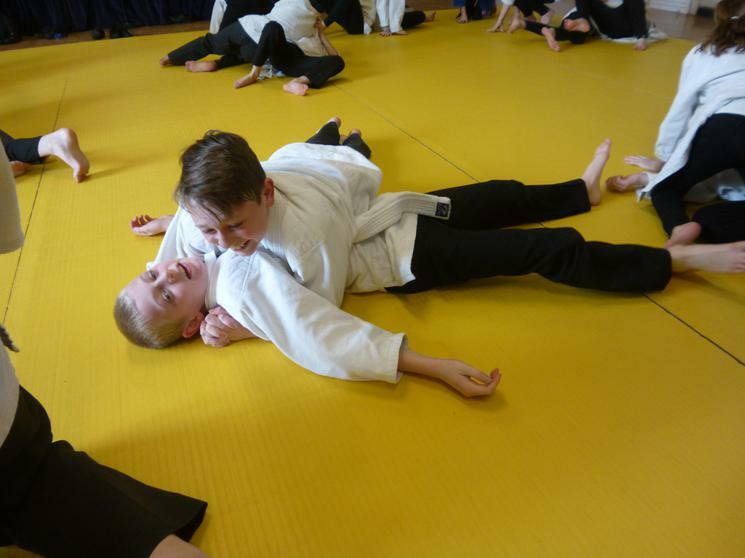 Pupils in Y6 visited Maiden Castle to participate in a Judo festival. 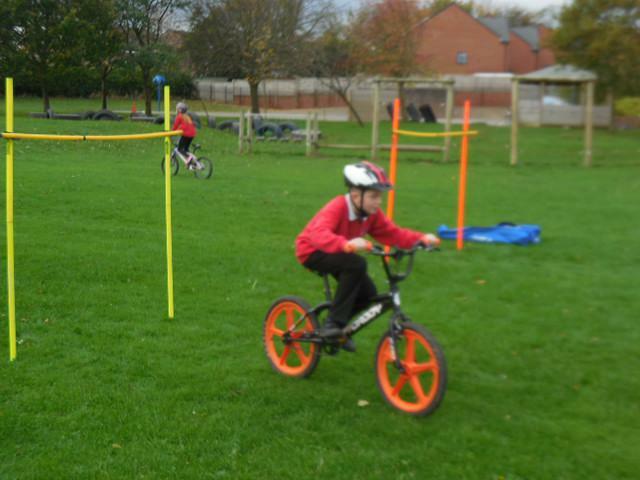 There was a carousel of activities where pupils learned new skills. 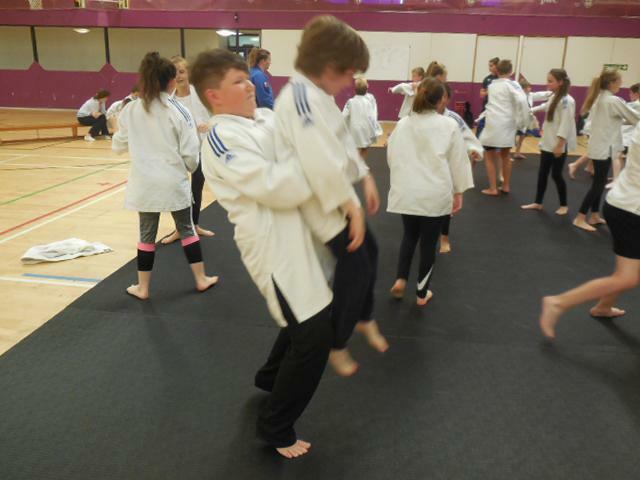 They had to show resilience in themselves, as some of the moves were particularly tricky, and trust in their partners, as they had to work together for some of the other, more complicated moves. 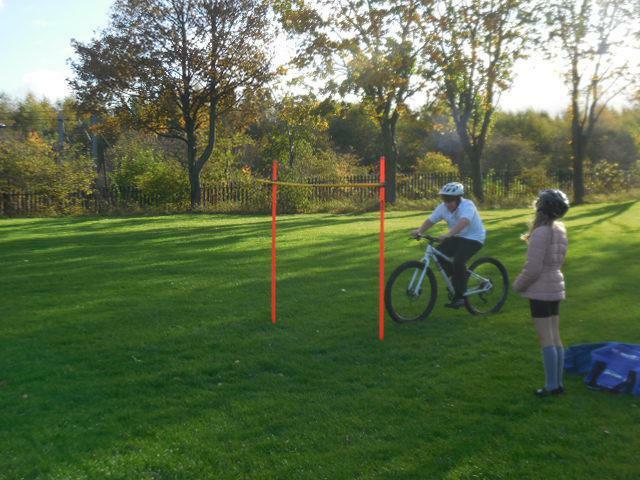 This was a great afternoon. 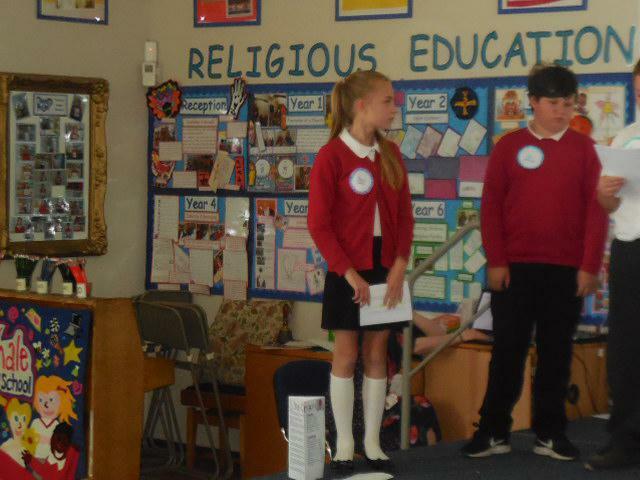 Year 6 paid a visit to the beautiful Durham Cathedral to be part of the service for pupils leaving primary school. 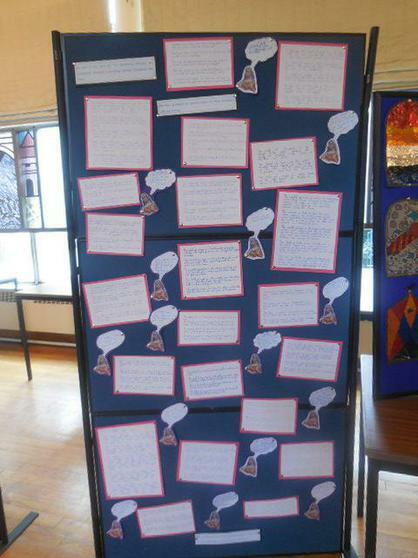 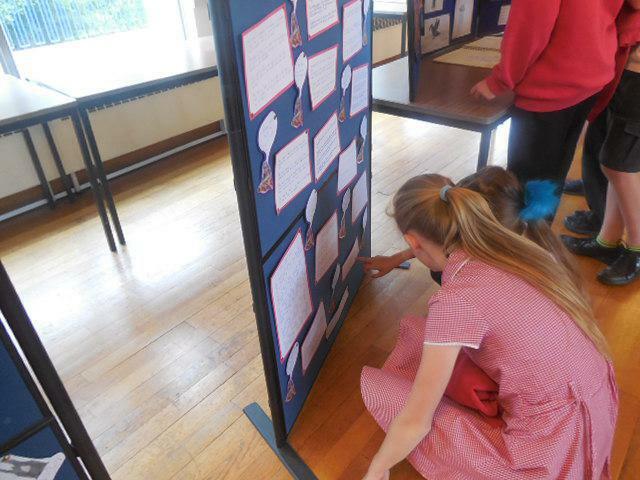 Pupils participated in activities involving their thoughts and feelings about their transition to secondary school including thinking about their favourite memory of primary school as well as who can offer support on their journey. 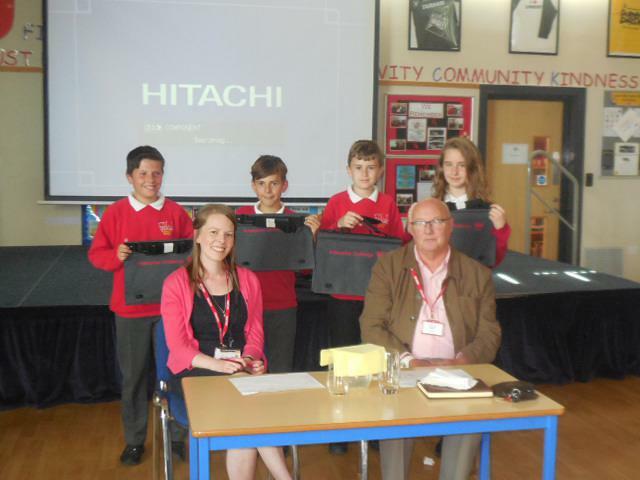 This was certainly an enjoyable and valuable afternoon for everyone in Durham’s world heritage site. 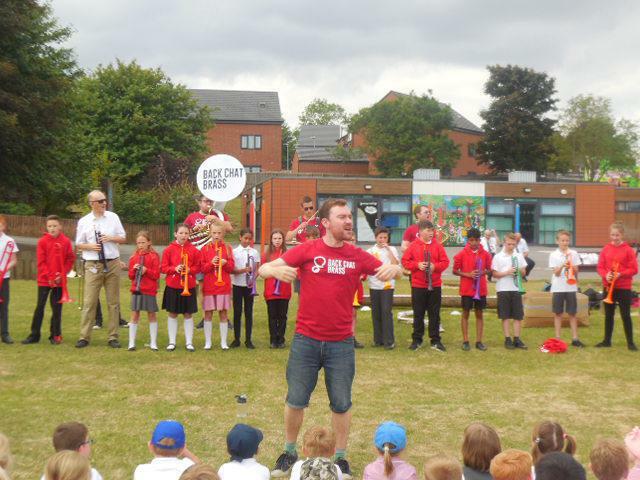 We are so fortunate not only to have such an amazing building in our city, but also one that we can visit for events such as this. 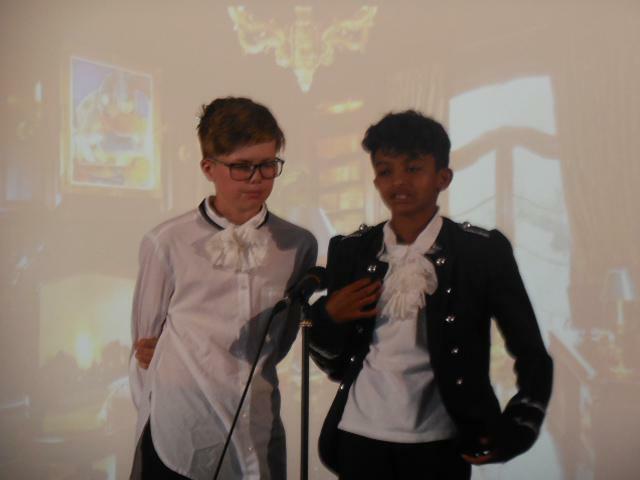 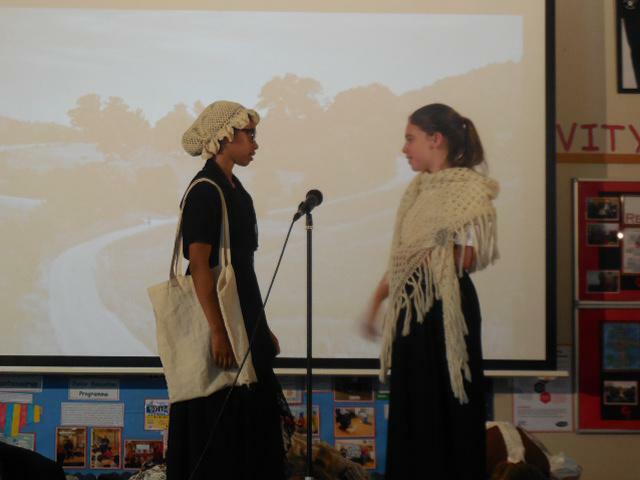 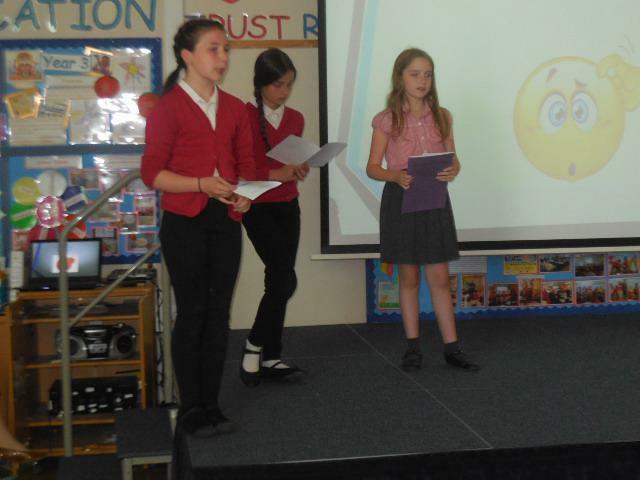 Pupils in Year 6 have had a wonderful time during our Enterprise Event. 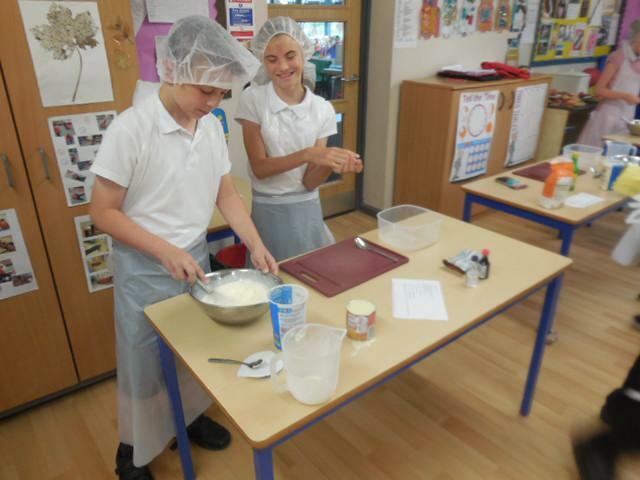 Each group developed their entrepreneurial skills through creating their own ice-cream parlour and business. 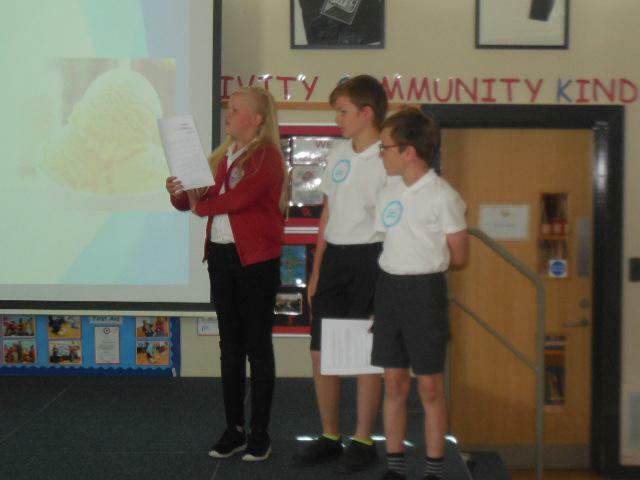 Pupils worked together to make ice-creams for the staff to taste test, they carried out market research, designed a company logo, a jingle and staff uniforms. 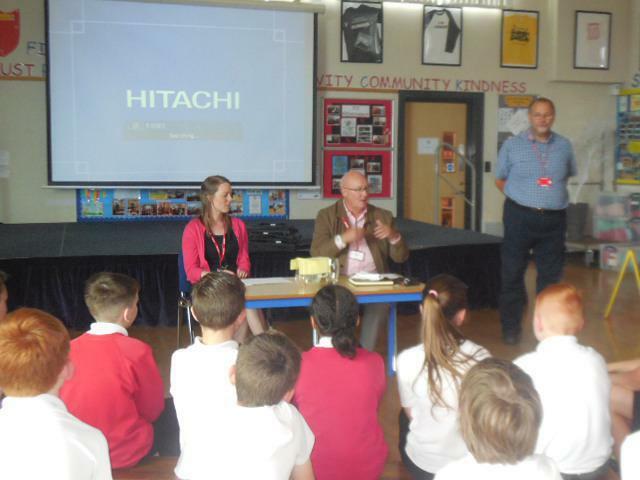 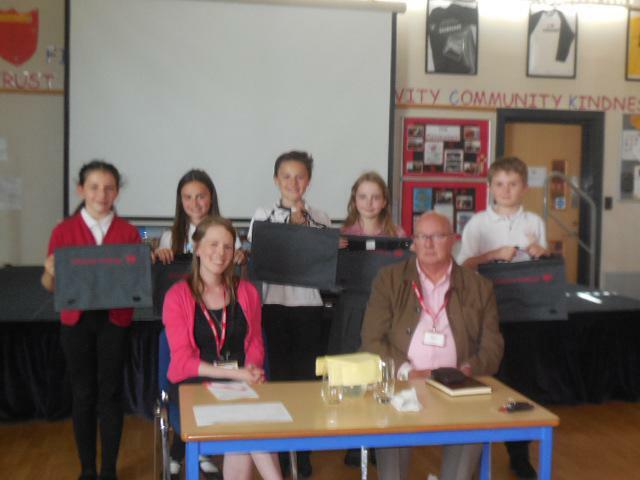 This then culminated in a presentation to the Dragons’ Den judges, showcasing what the pupils had learned. 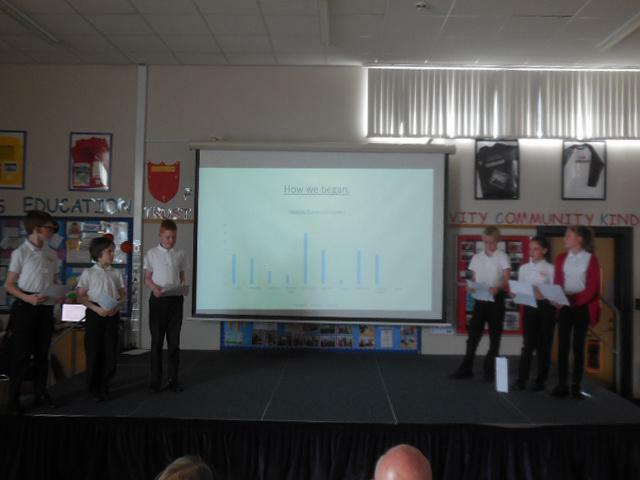 They showed resilience, teamwork, trust and respect. 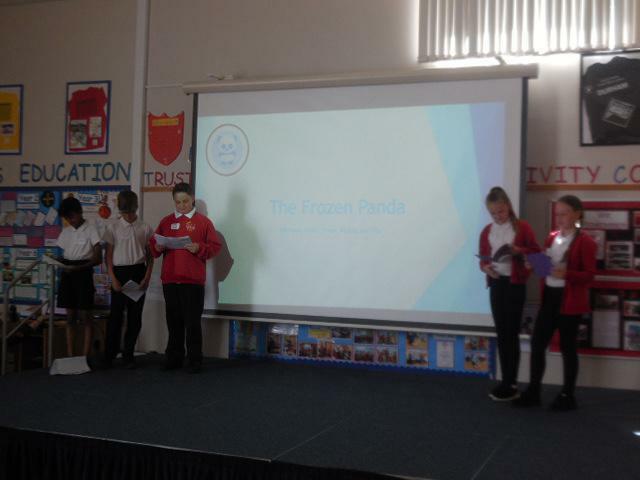 The dragons judged the full presentations and Polar Ice were our presentation winners while Polar Bear Parlour were the highest point winners for their teamwork and co-operation. 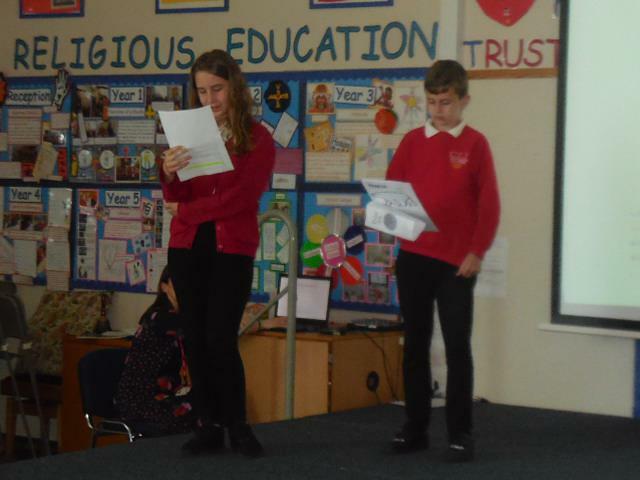 Following an assembly with Bernard, where he gave us some excellent ideas about how to produce and perform poetry, we worked together to produce our own poems. 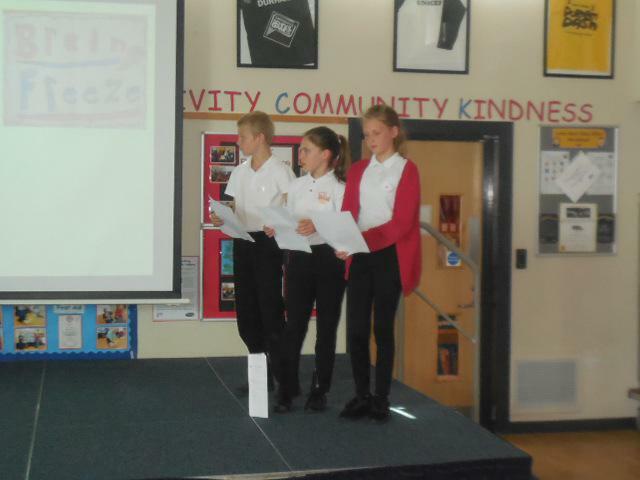 We considered how to get across the very important messages of road safety. 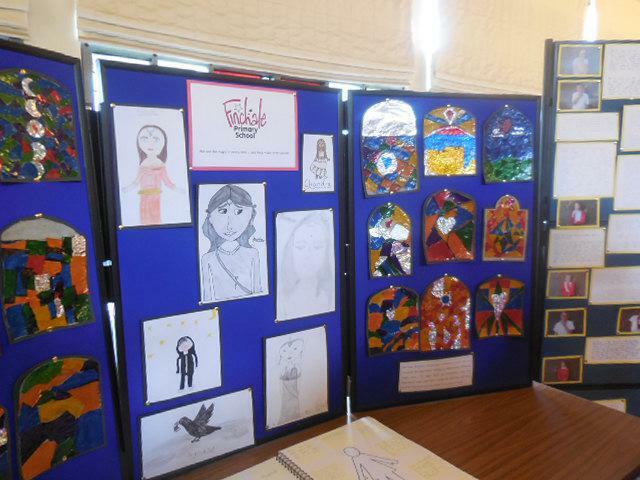 Staff were very impressed with our work. 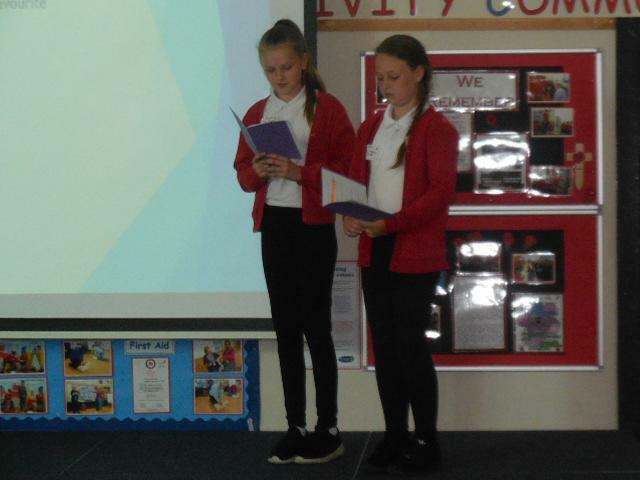 Some of our poetry has been sent to our partner school in Mozambique. 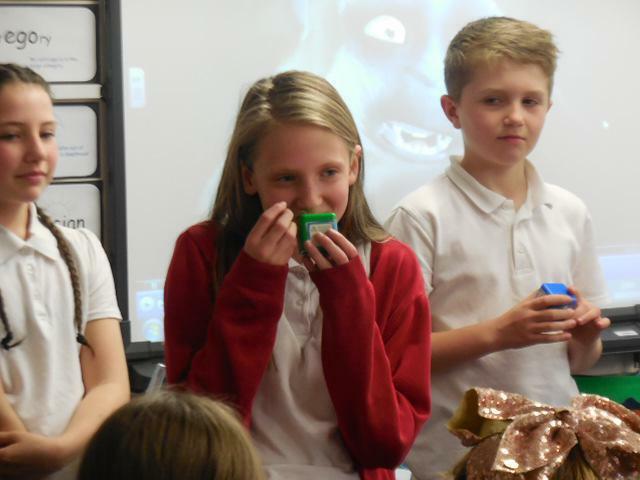 As part of our studies on South America some of us made tasty South American food and brought it in to share with the class. 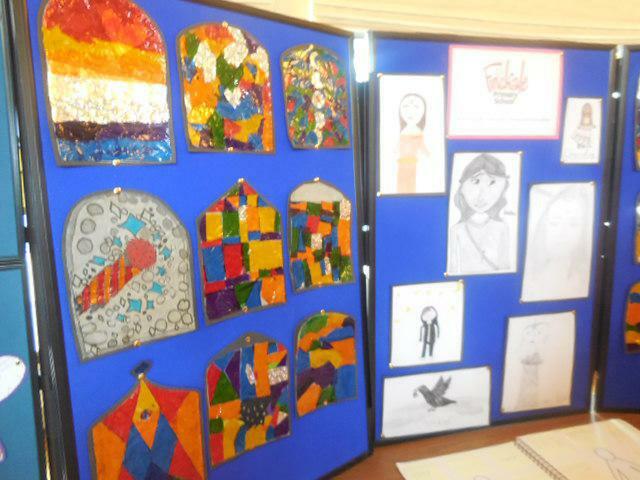 Take a look at what some of us made! 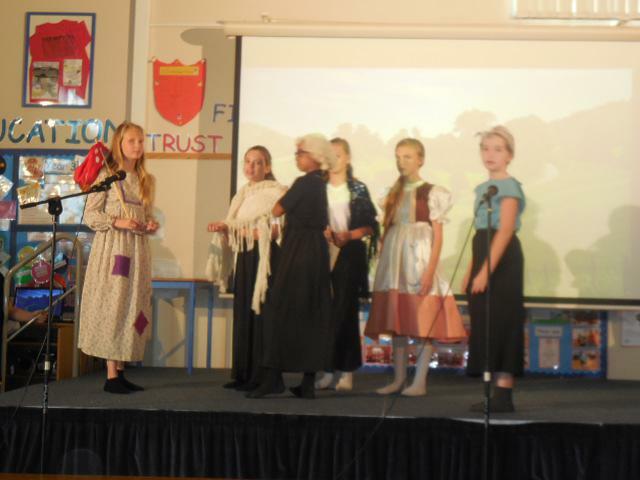 Year 6 had great fun taking part in ceilidh dancing. 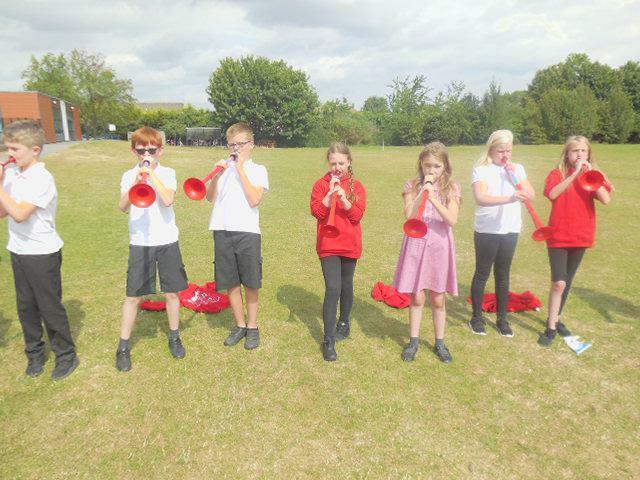 We danced, twirled and skipped along to some traditional music. 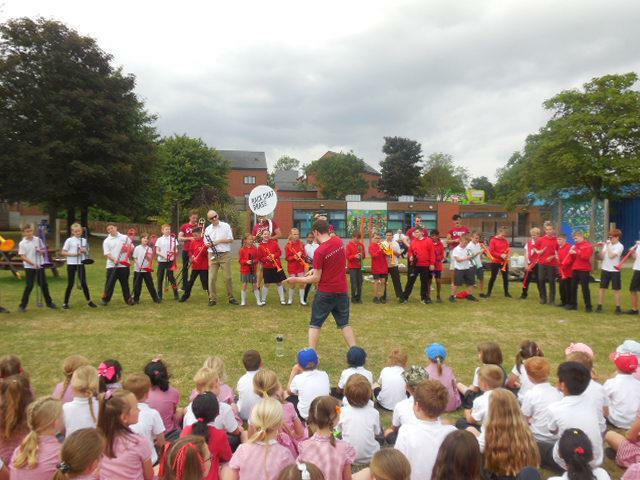 Great fun was had by all! 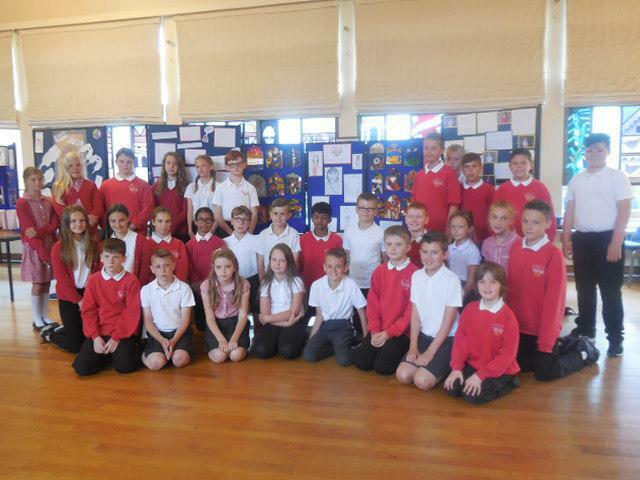 We would just like to say well done to each and every one of our Year 6 pupils. 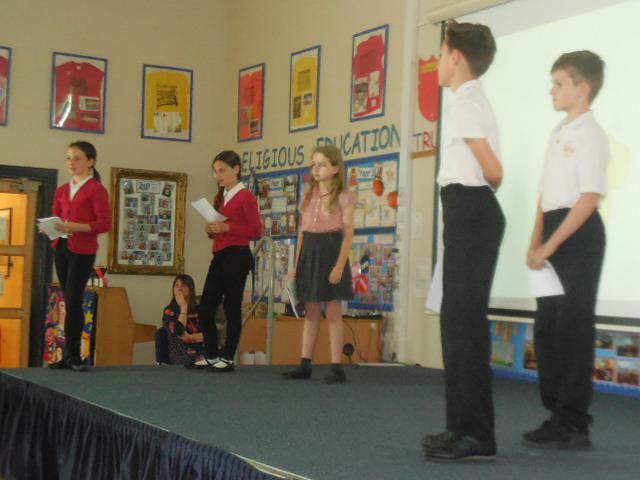 You have all worked so well. 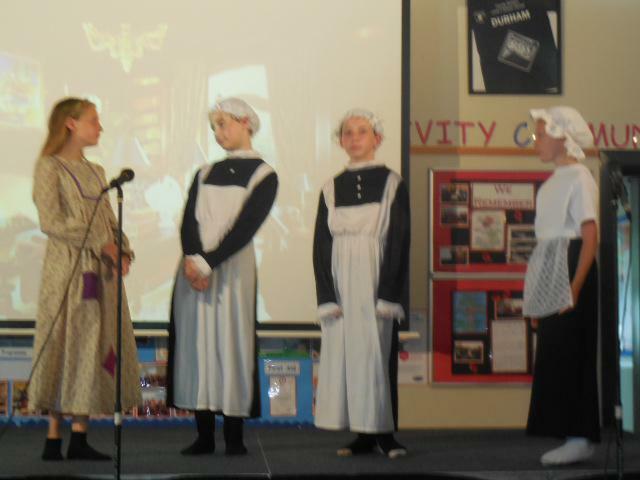 You gave your very best and made yourselves, us and your families very proud. 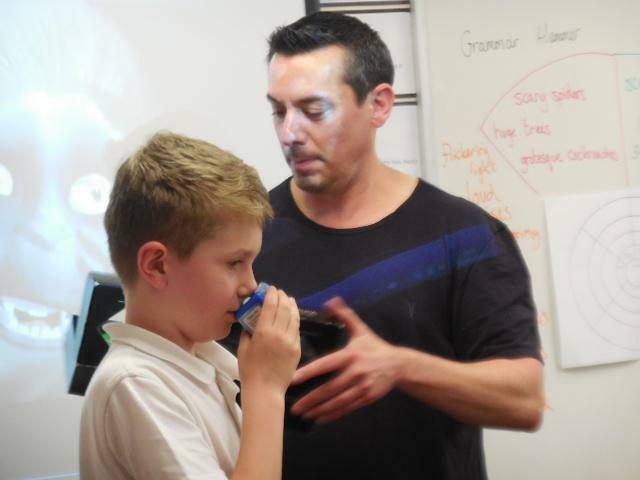 We were all very excited about our visit by the author Adam Bushnell. 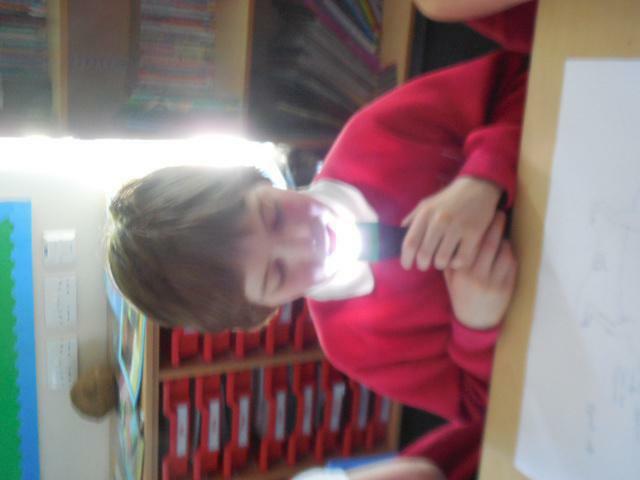 During his visit we worked on looking at including descriptive phrases, similes and metaphors in our writing. 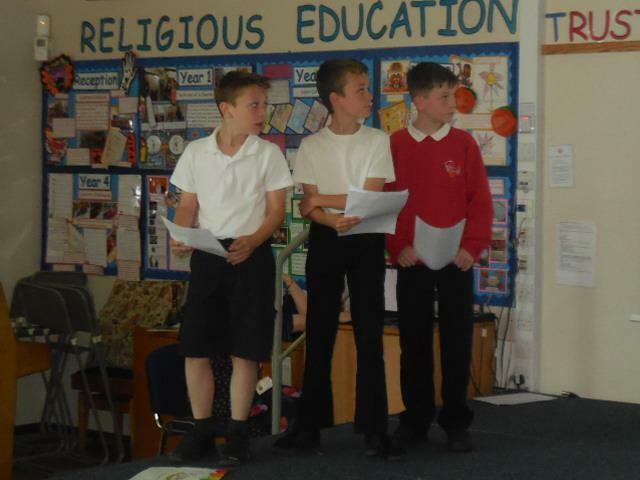 This was all based around our topic of South America and Mighty Mountains. 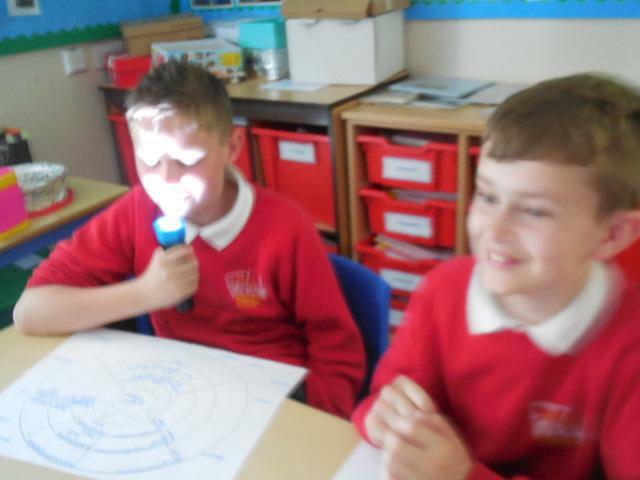 We began by watching videos and listening to excerpts of other stories to act as a stimulus for our writing and understanding techniques authors use. 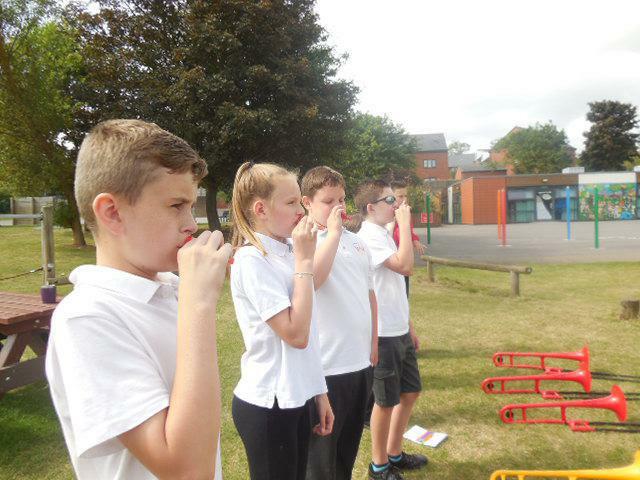 We then used special smell boxes to stimulate our senses - some of these were very unpleasant! 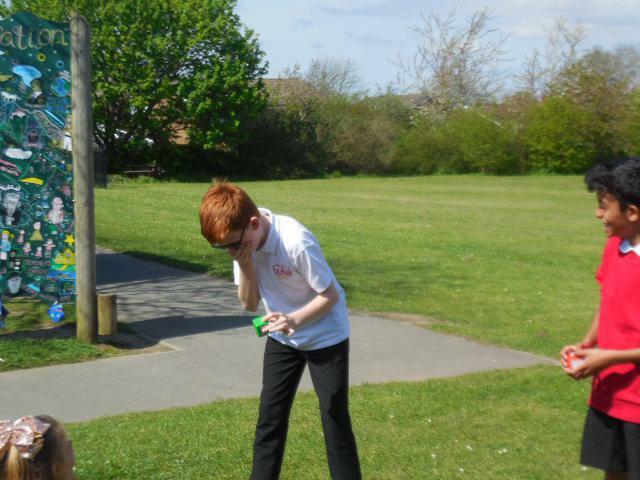 After all of this, we then completed a planning sheet to gather all of our thoughts. 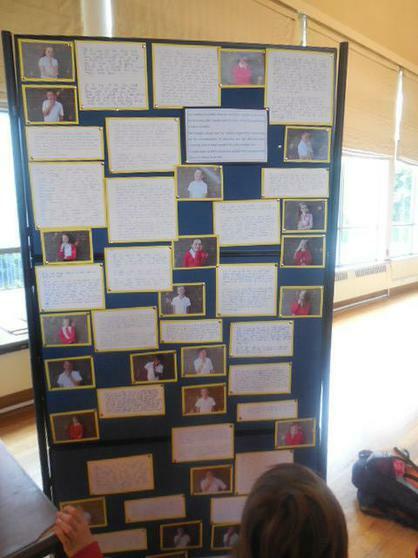 Watch this space to see some of our fabulous writing! 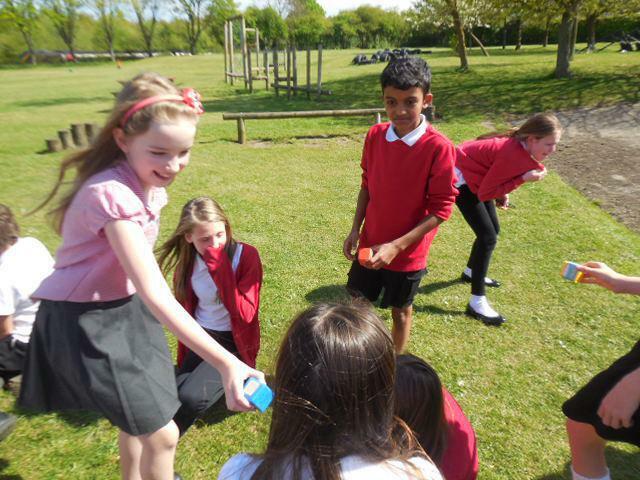 As happens every year, our fantastic PTA organised our annual Easter Egg Hunt. 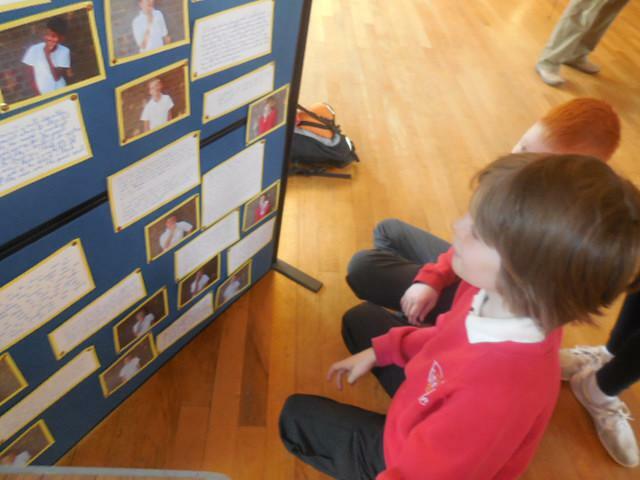 We showed great resilience in trying to find as many cards as possible. 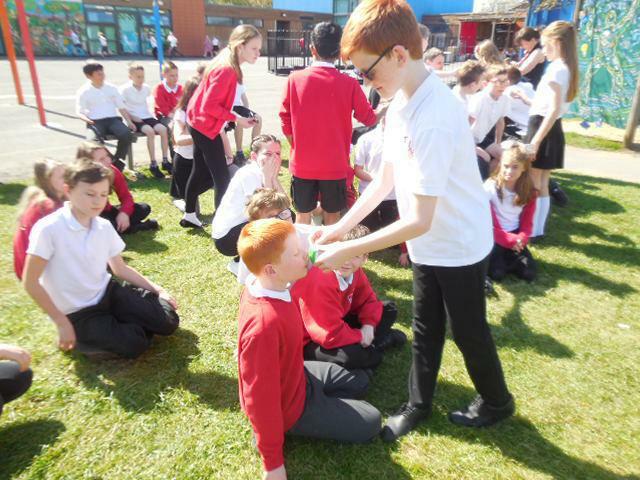 Not everyone could be a winner, but we were all given a chocolate egg which was kindly donated by our PTA. 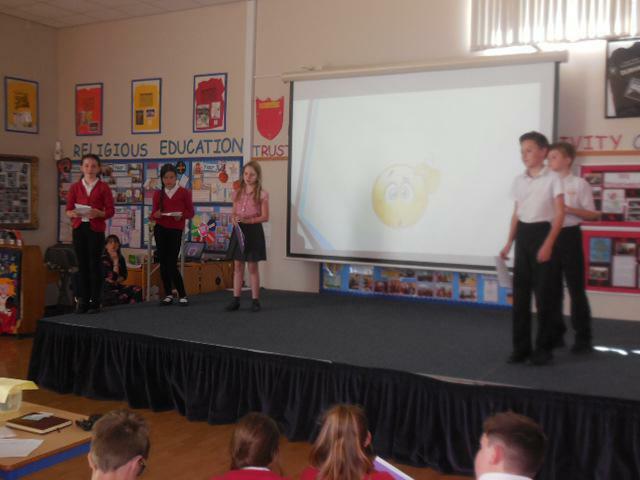 We were very fortunate to watch the production, 'The B Word', which was all about bullying and what we could do if this ever happened in school. 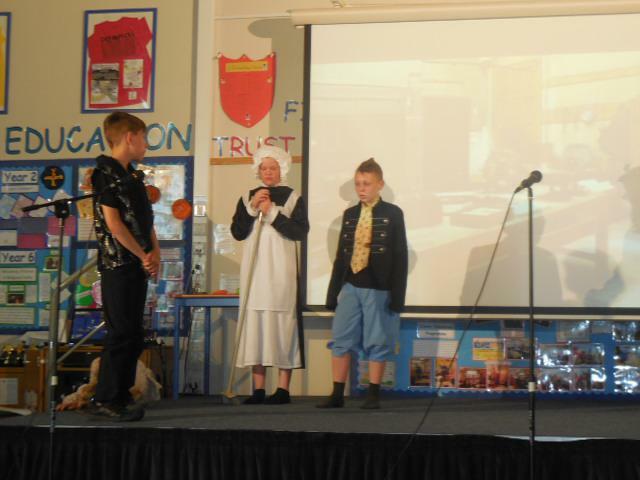 We found the production very interesting and it tackled bullying in a way in which all children in school could understand. 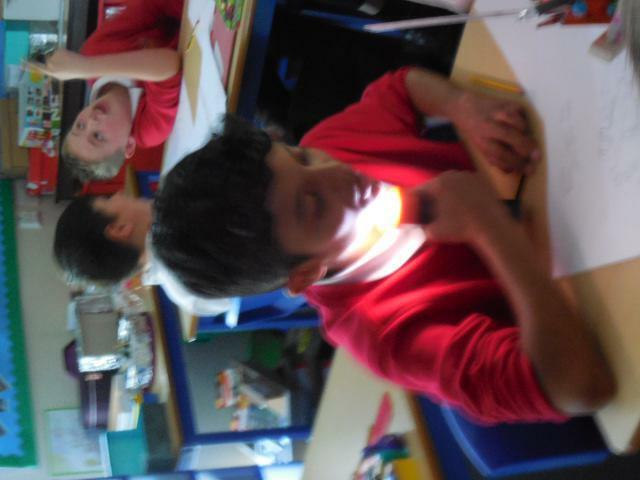 As part of our work on shapes, we wrote different 2D shapes on a post it note and stuck it to a willing forehead. 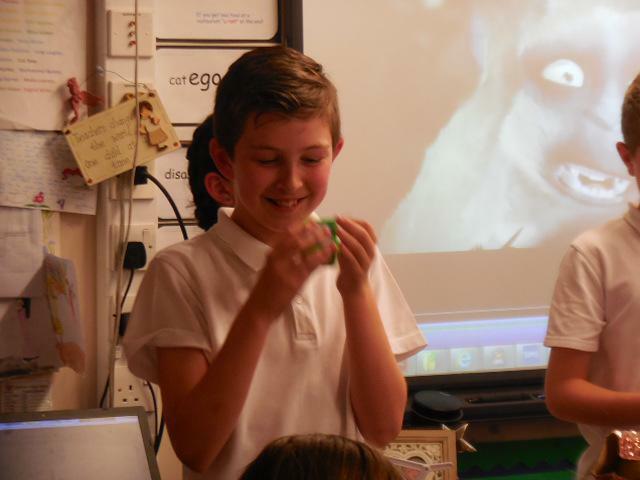 We then had to identify the name of the it by asking the class different questions about the properties of the shape. 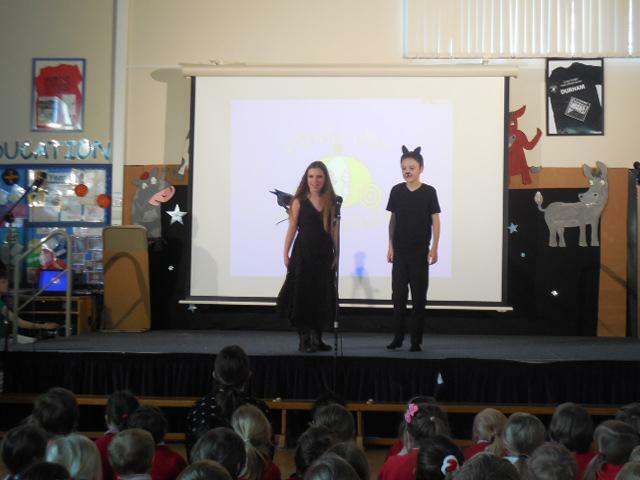 This helped us to consolidate our knowledge on the names and properties of 2D shapes. 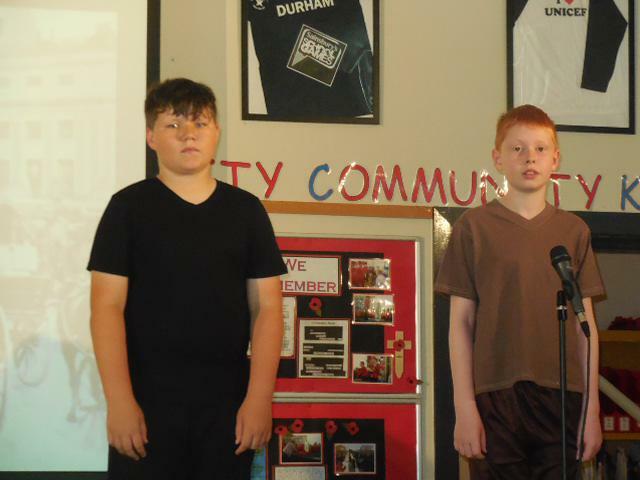 We have been very fortunate to have had basketball training. 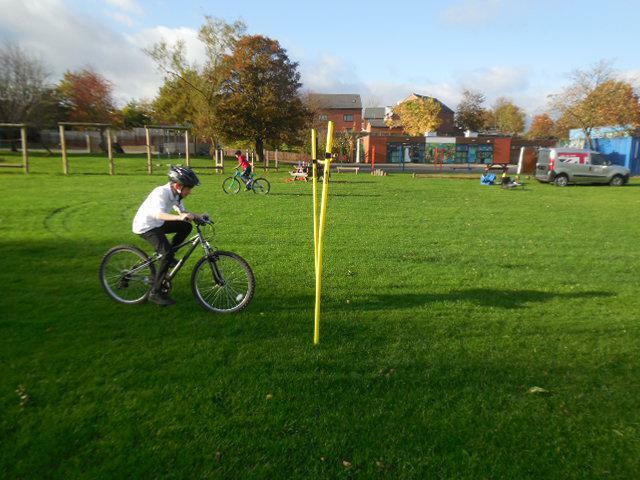 We have learned how to dribble the ball, how to dribble successfully and how to mark our opponents. 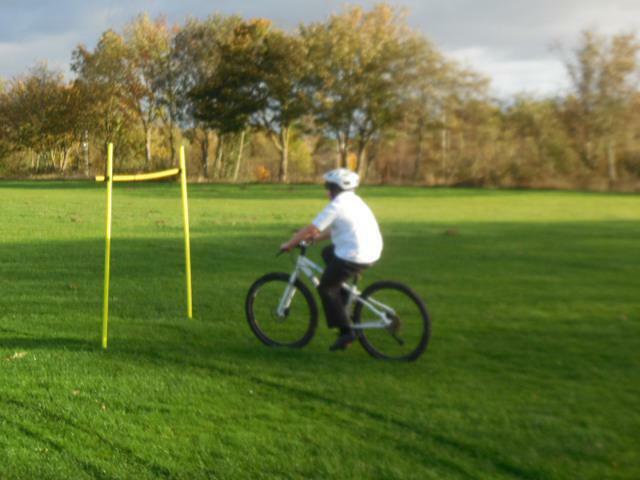 Our work has been in preparation for a Basketball tournament later this term. 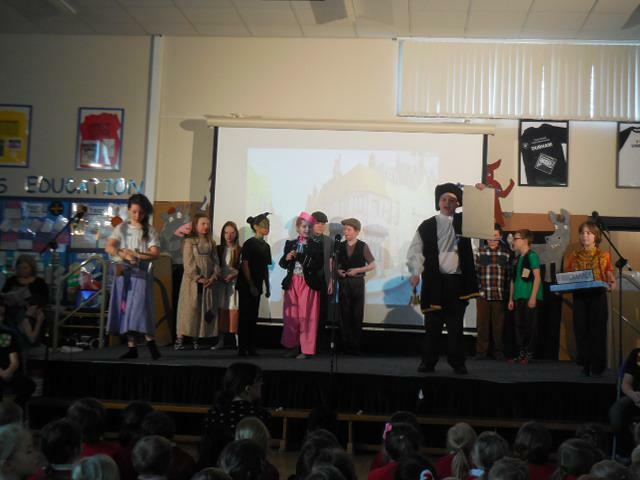 We performed our hilarious Christmas Play today. 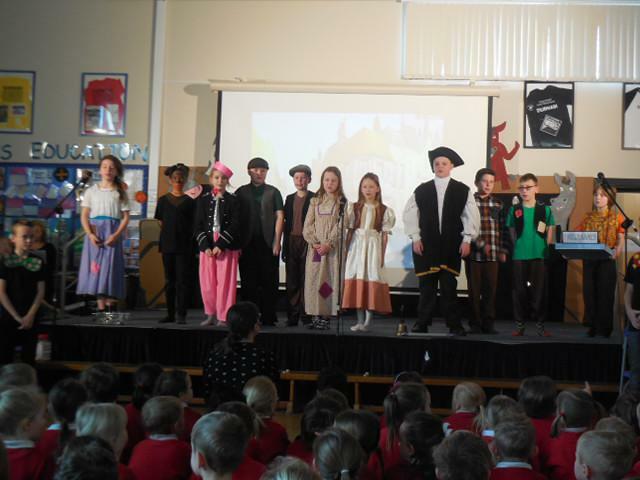 It was full laughs, songs and gags galore. 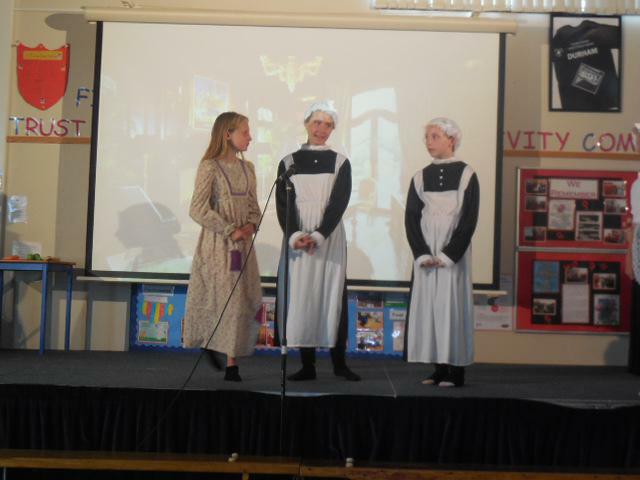 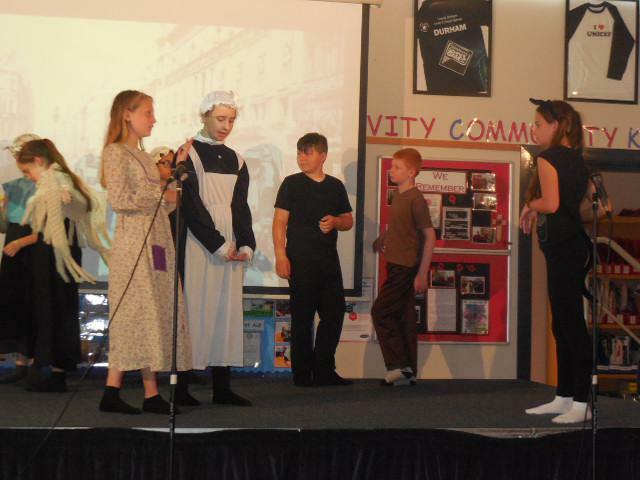 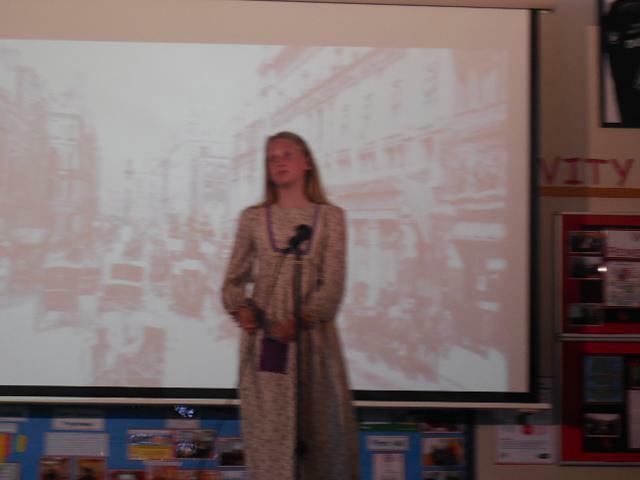 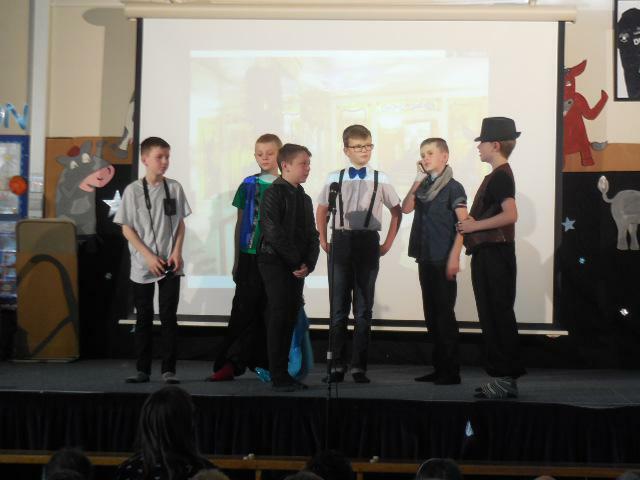 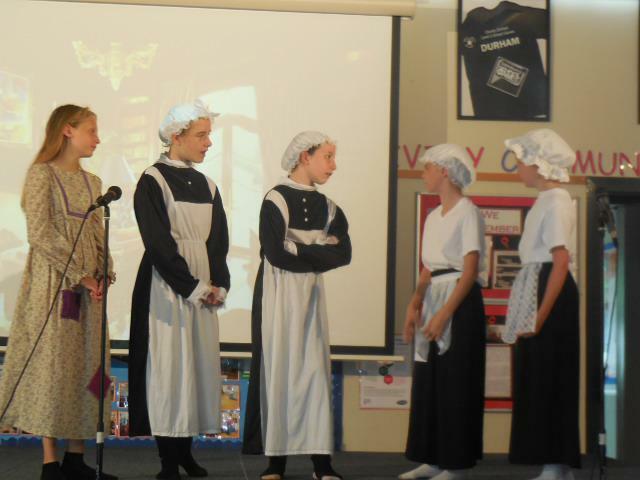 We all had an excellent time and thoroughly enjoyed being on stage showing a different side to us. 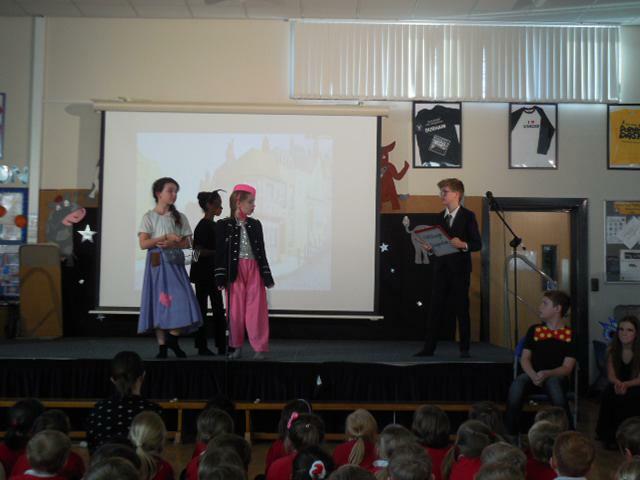 From the panto dames to Buttons, from Cinderella to Rockerfella (AKA Prince Charming) and everyone else, we provided a barrel full of laughs. 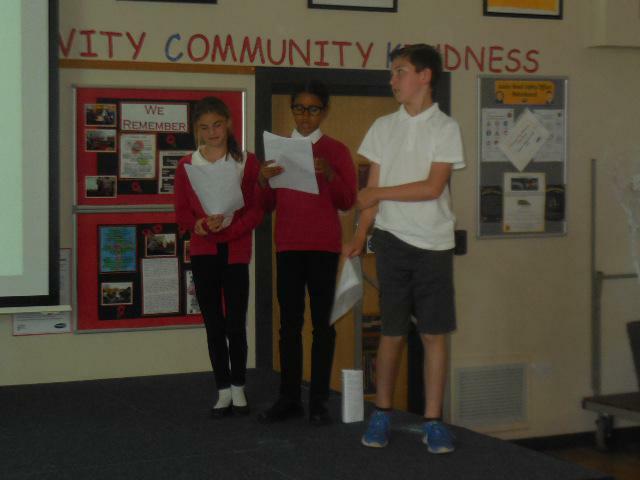 Some of our Mini Police had the opportunity to visit the Police Head Quarters today in order to decorate the Christmas trees with pupils from other local schools. 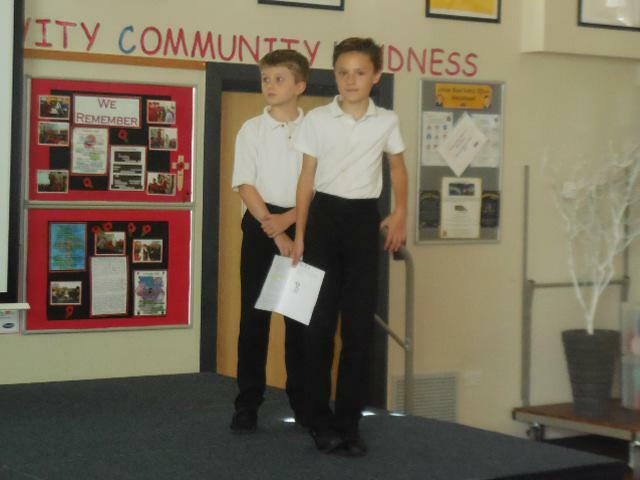 Our pupils were excellent representatives for our school and their exemplary behaviour was commented upon. 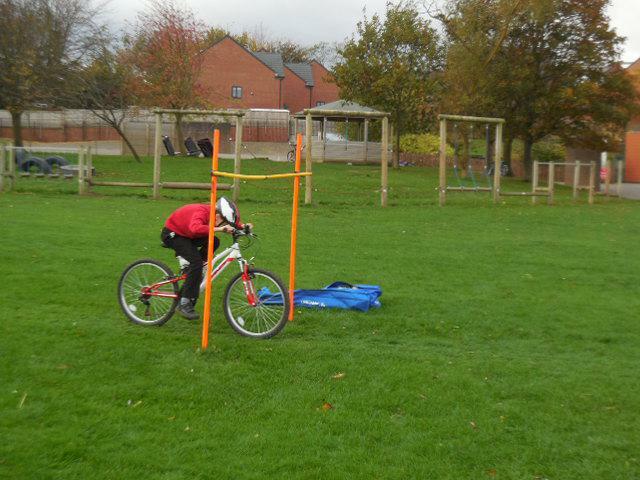 We had an excellent and informative day at the Safety carousel. 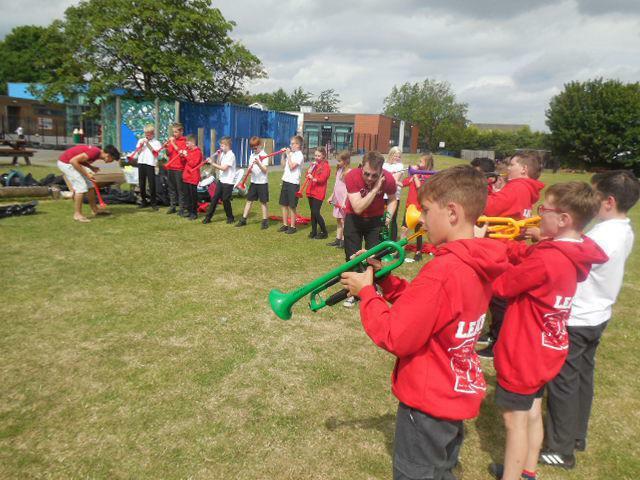 There were many different organisations at this event including: the RNLI, Northern Electric, our local PCSOs and the Road Safety Officers. 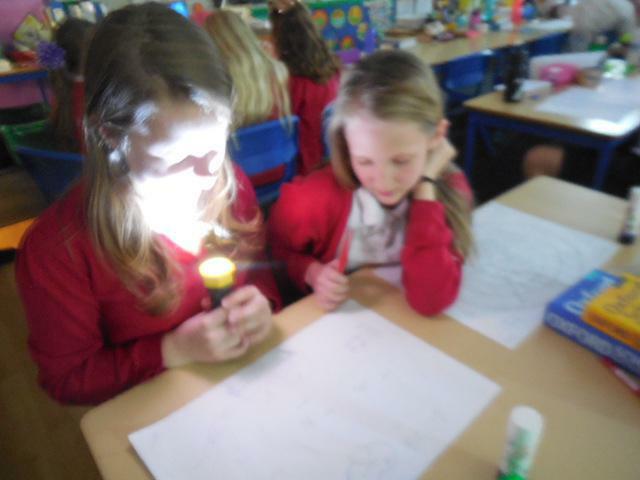 We learned how to keep safe in a variety of ways and looked how to be careful in our home and when out and about. 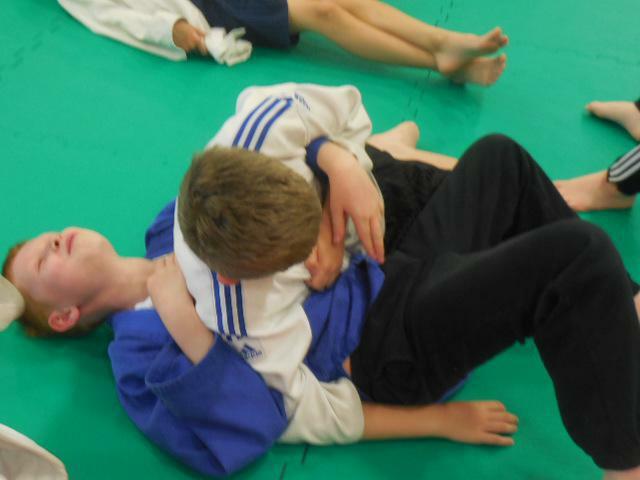 The whole day was a great success. 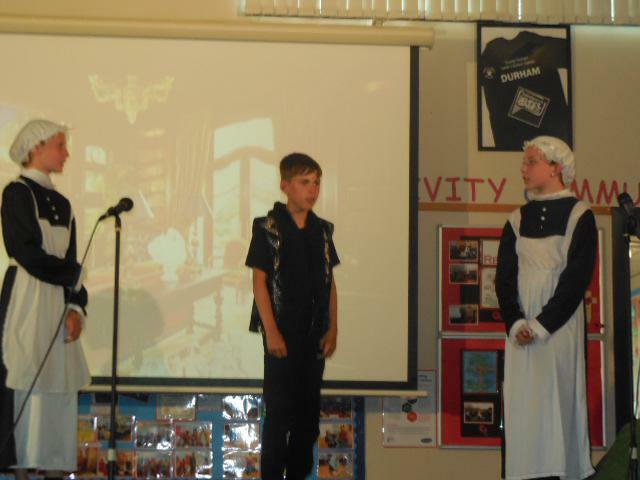 We would recommend it to everyone. 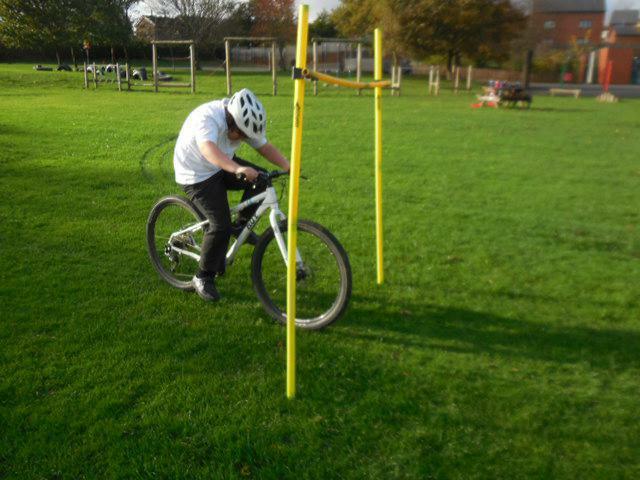 Have a look at the photograph below and see how much more confident we all are with cycling. 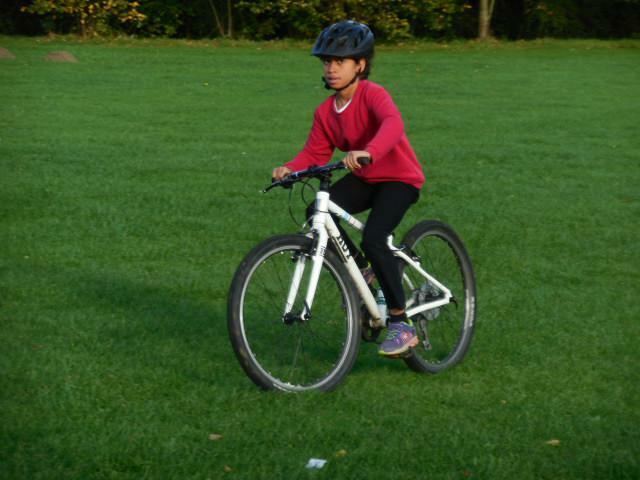 Through resilience and determination our skills and confidence improved for all of us, including those of us who were non-cyclists (at the beginning) and those of us who were already able to cycle confidently. 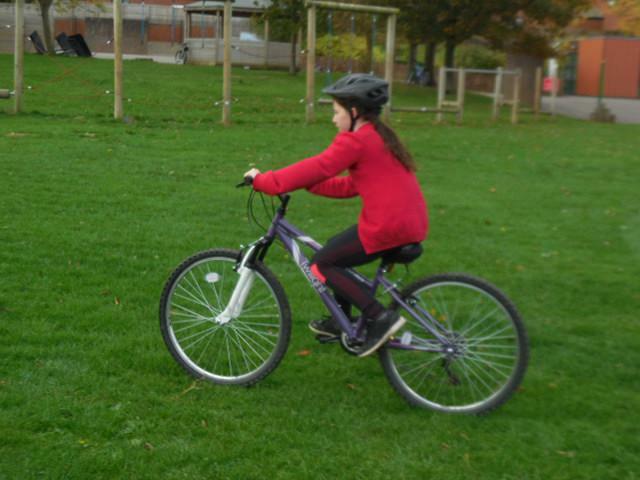 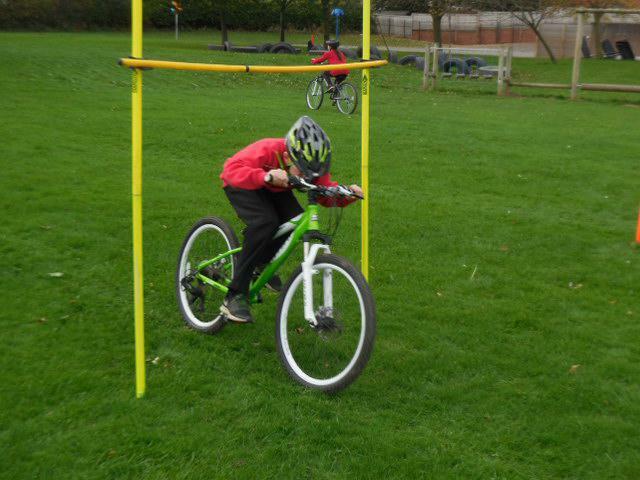 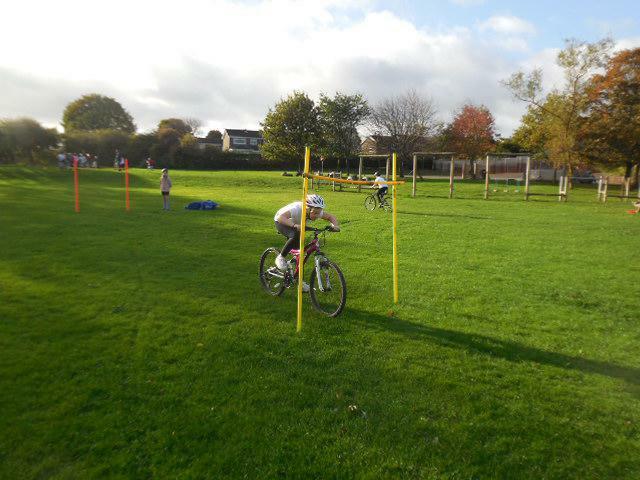 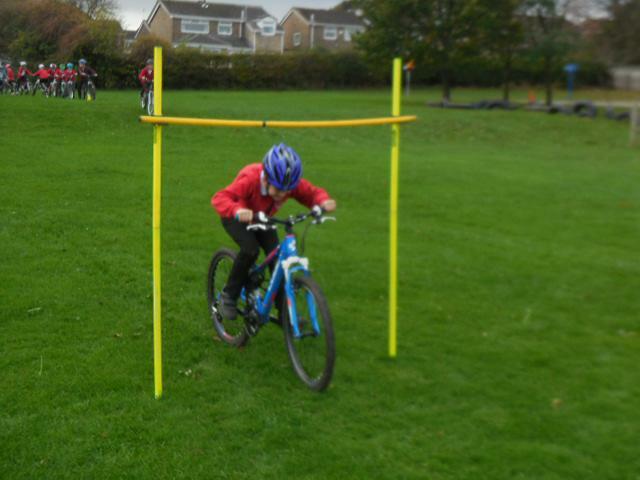 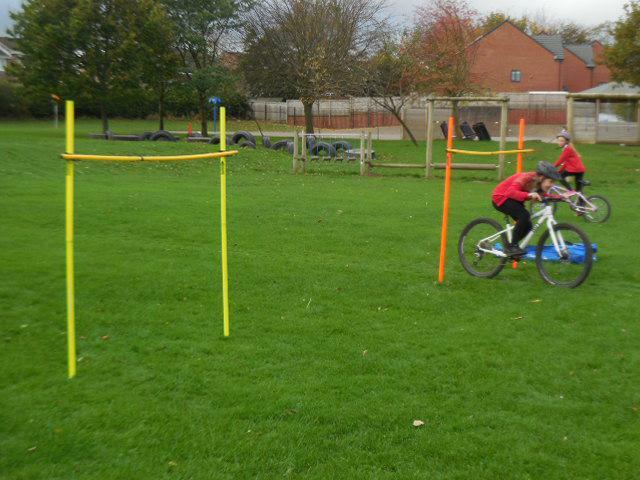 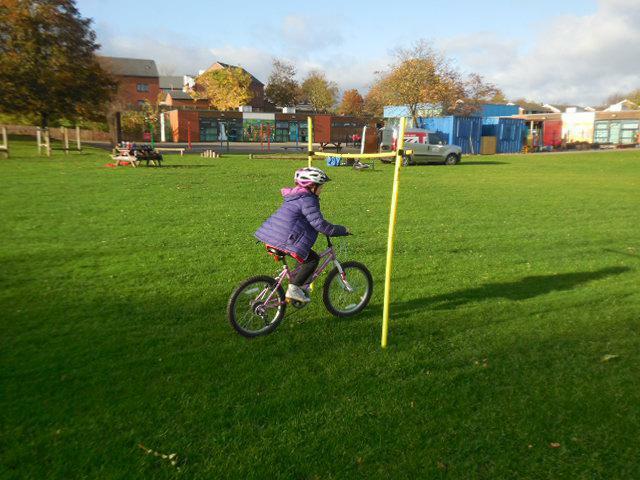 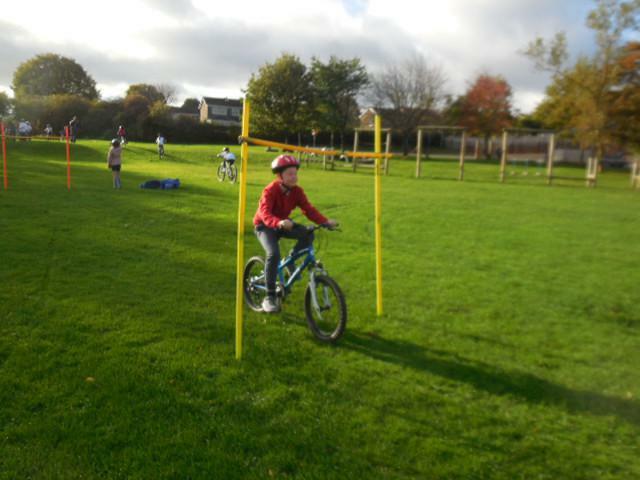 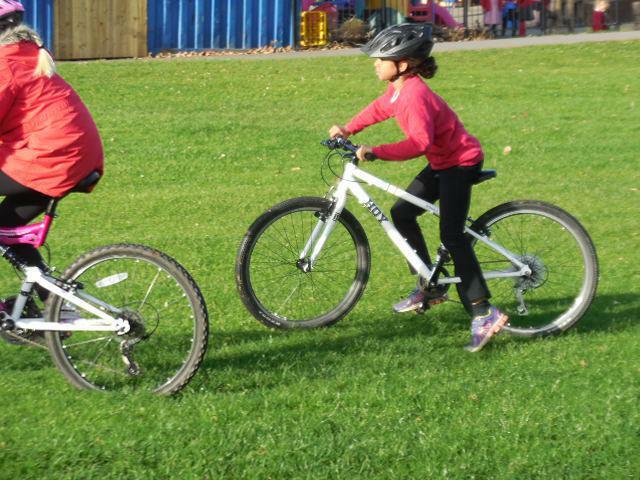 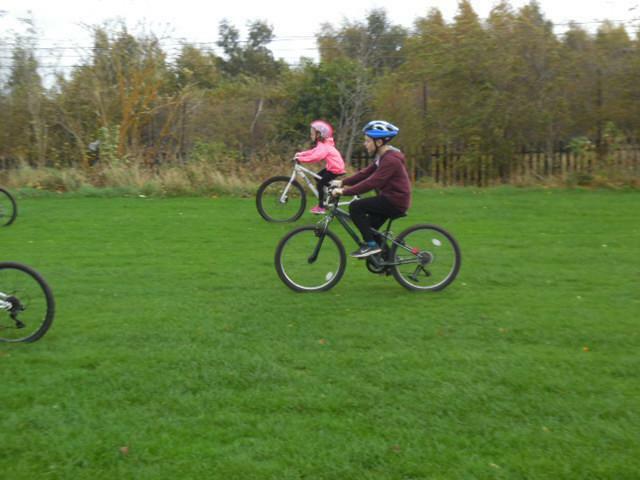 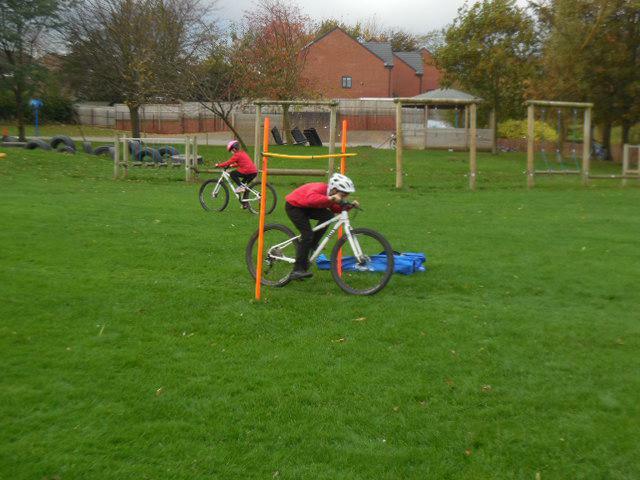 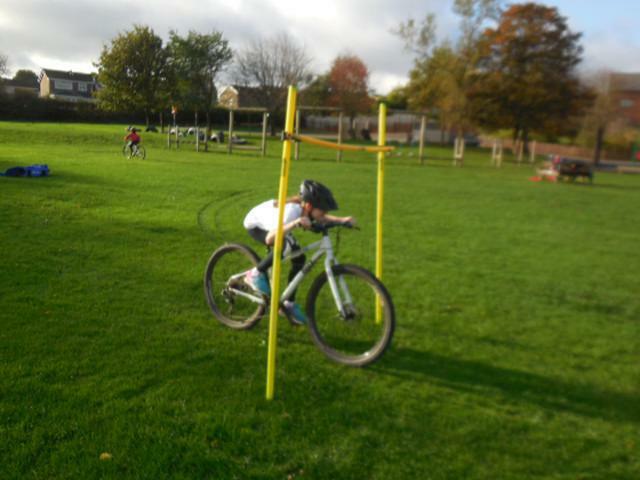 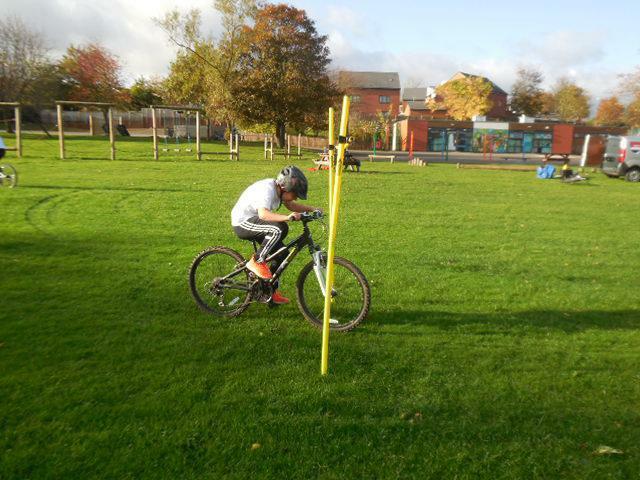 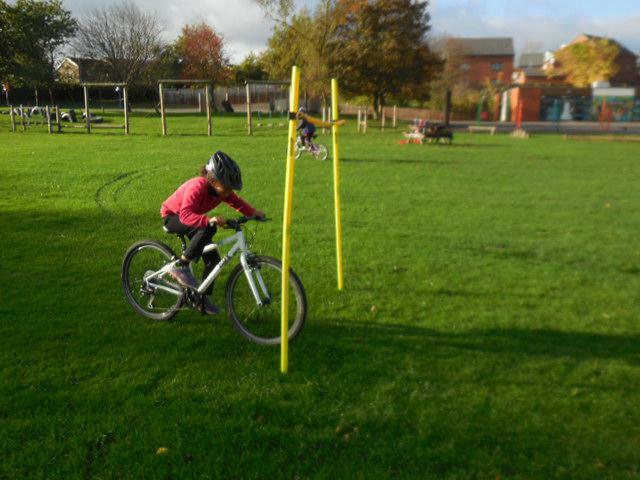 We have all learned new skills and tricks, including cycling under a pole of differing heights! 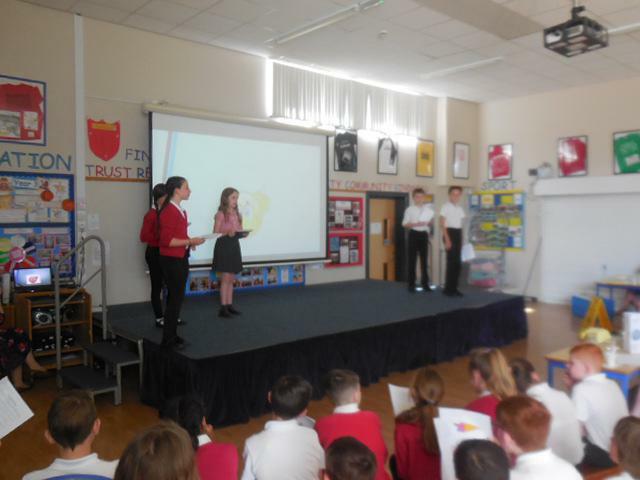 Some of our Mini Police Officers presented an excellent assembly where they discussed the possible dangers on the roads and how to be safe. 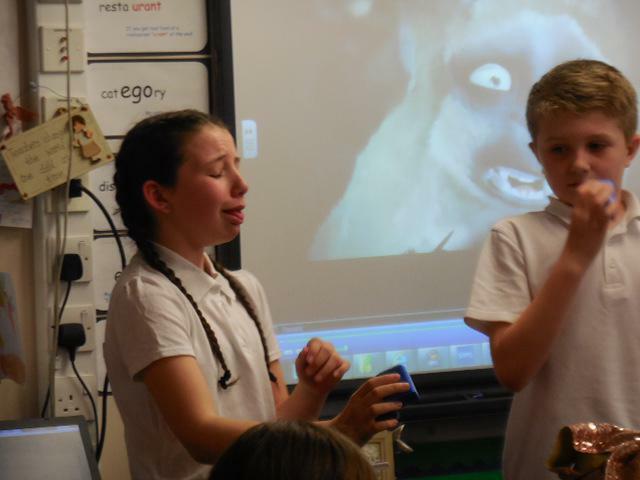 Pupils looked at different scenarios, identifying the issues in the images and how the people could be safe. 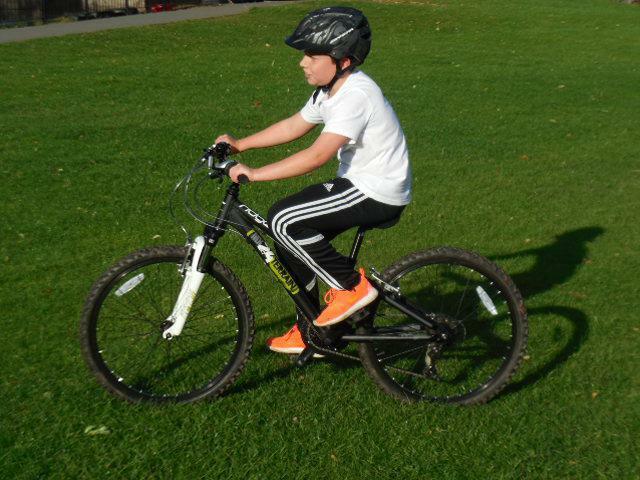 This included scenarios involving pedestrians listening to music and using mobile phones, motorists using phones when they were driving and children riding their bikes without wearing a helmet. 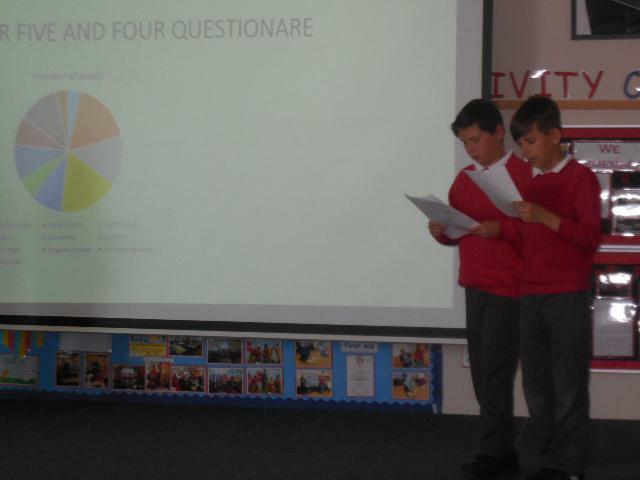 Once again, we were very fortunate to have Mrs Hamill (one of our Parent Governors) in to help strengthen our MFL work we do in school. 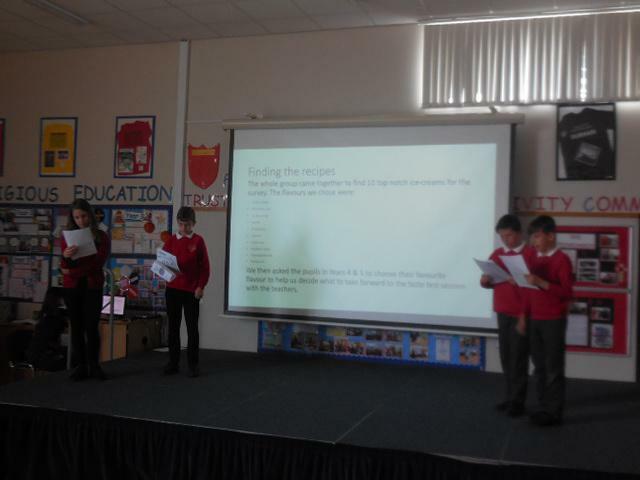 Year 6 are currently studying about French Cafes and how to order food and drinks. 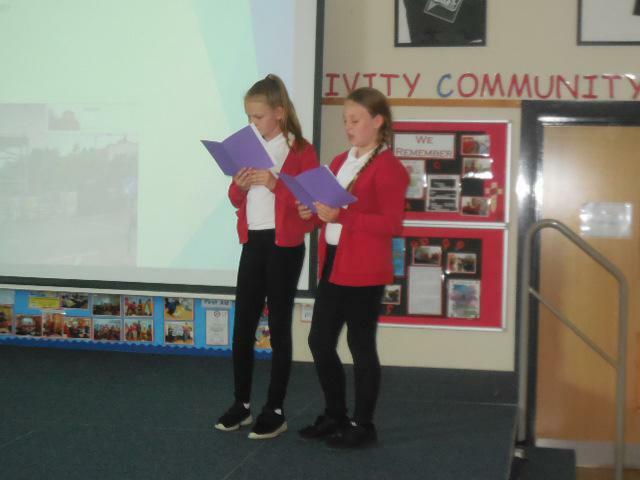 As part of our work with Mrs Hamill, we looked at how to order hot and cold drinks and then sang a song which we practised and performed in front of the whole school. 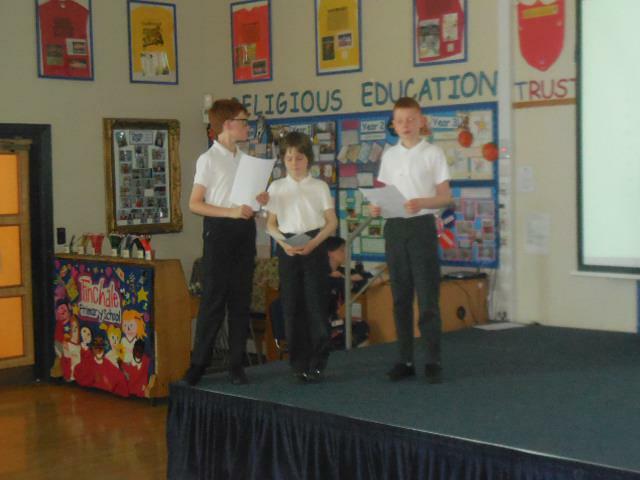 We thoroughly enjoyed the day and Mrs Hamill certainly helped us to understand how to order drinks in a French café. 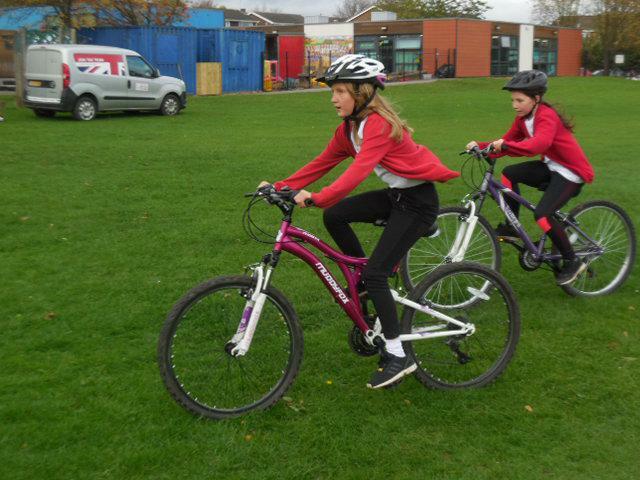 Pupils all across school took part in National Fitness Day. 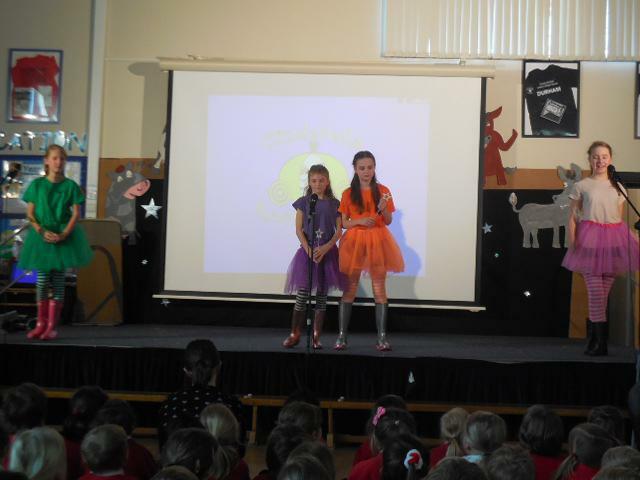 We started off with an active assembly where we warmed up our bodies. 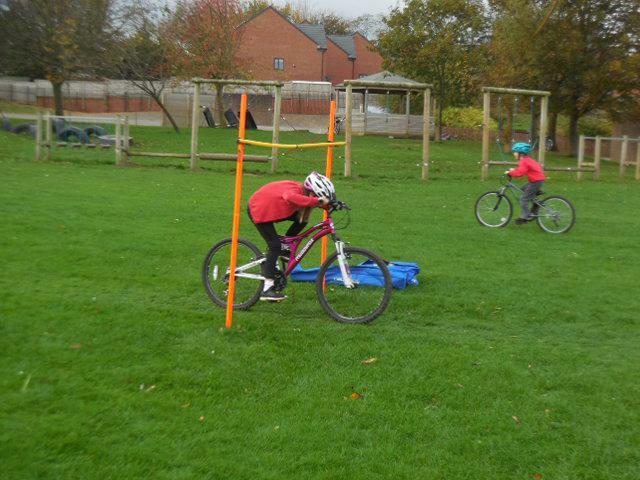 After this, Year 6 then took to the playground to take part in a carousel of activities which the members of our School Sports Organising Crew organised. 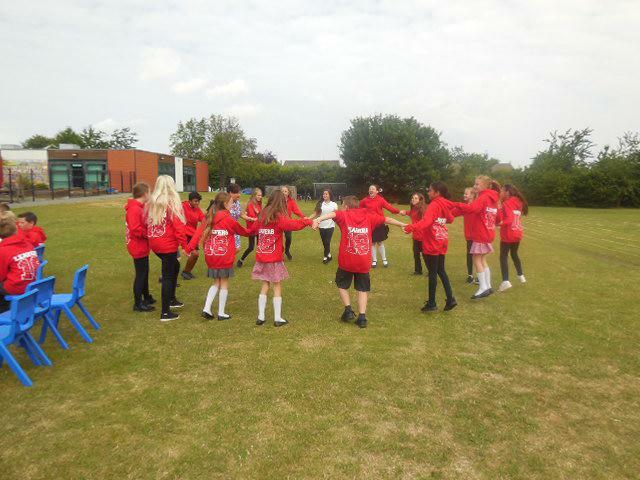 Pupils took part in hula hooping, ball skills, skipping and a keep fit exercise session. 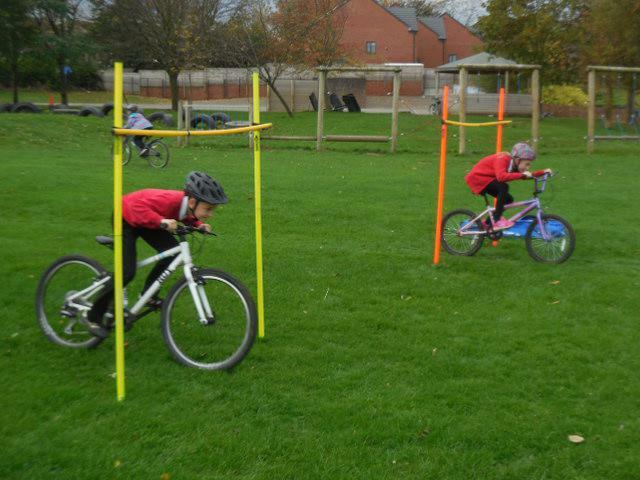 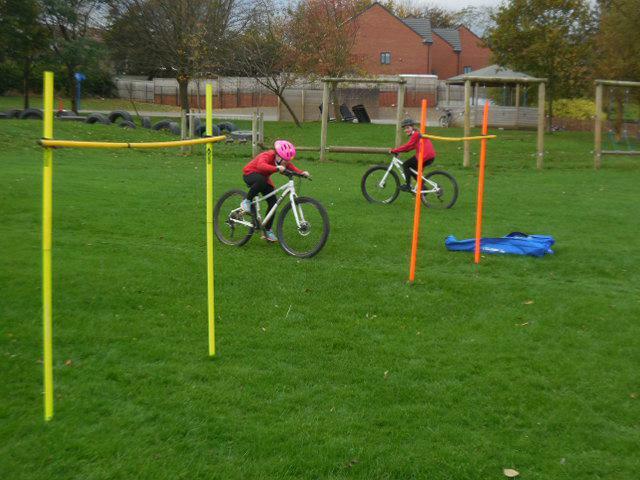 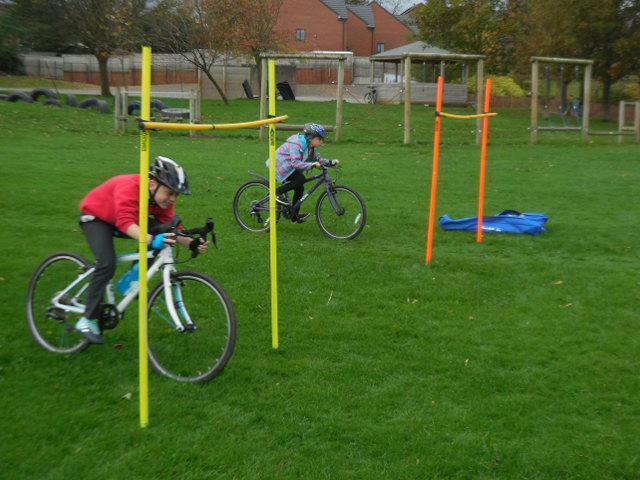 As part of our campaign to get everyone in school more fit and active, our Year5 and 6 pupils are working with British Cycling to further develop their cycling skills. 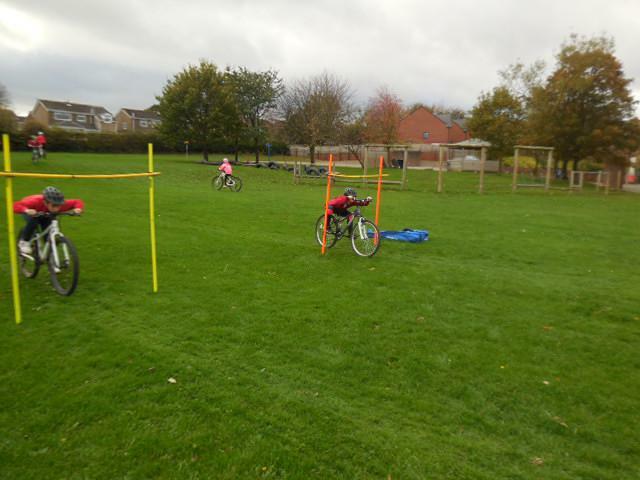 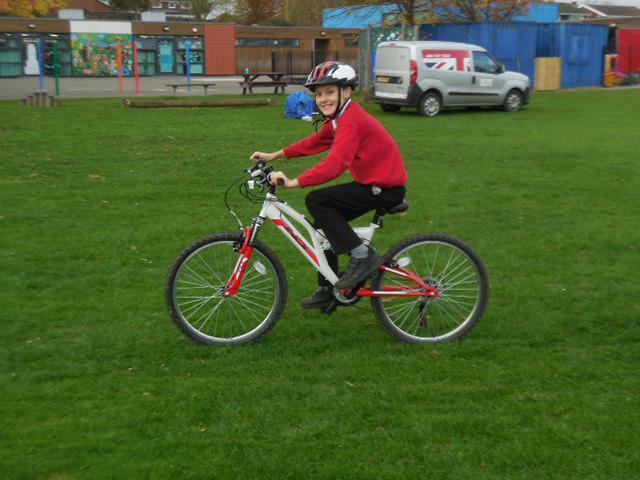 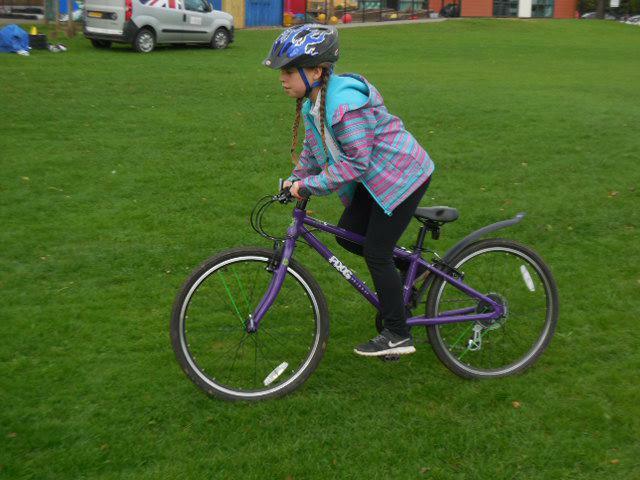 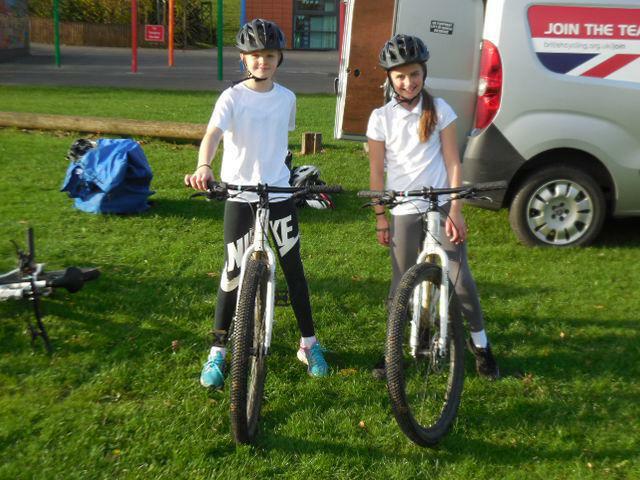 The pupils enjoyed the cycling session enormously and, when interviewed, explained how they loved the challenge of the hill on the school field. 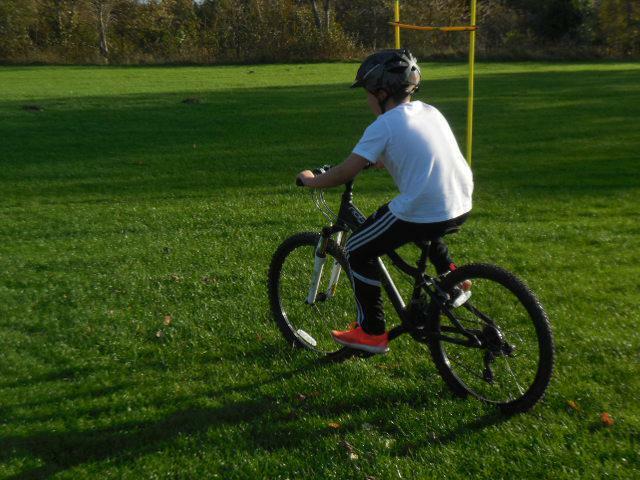 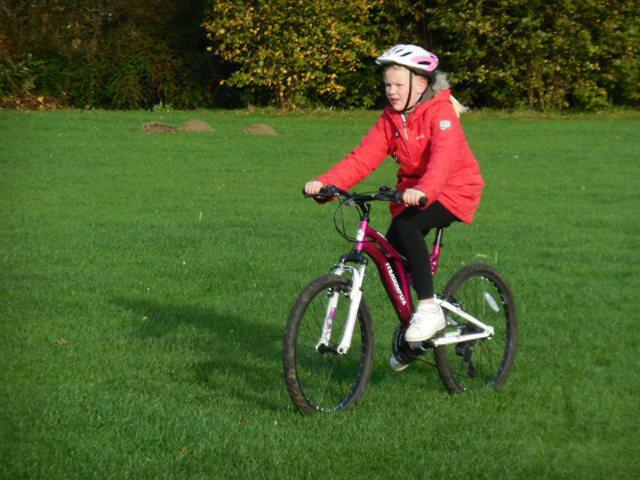 Some pupils found cycling uphill was a challenge from a fitness point of view and others mentioned cycling down the hill safely was a real test of control. 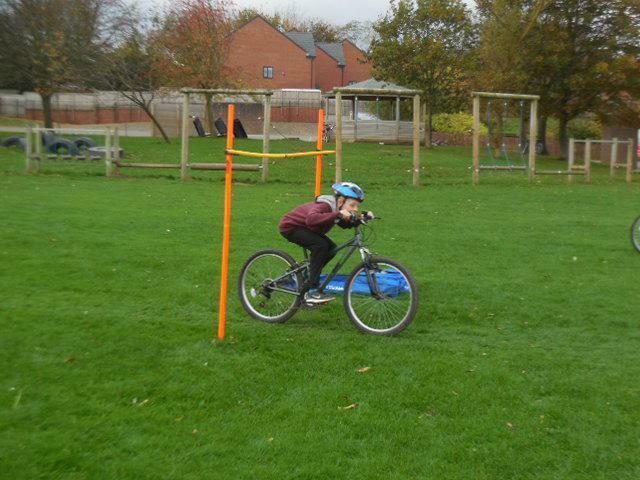 Thomas explained he learned how to position his hands on the handlebar so that he could now achieve much greater control. 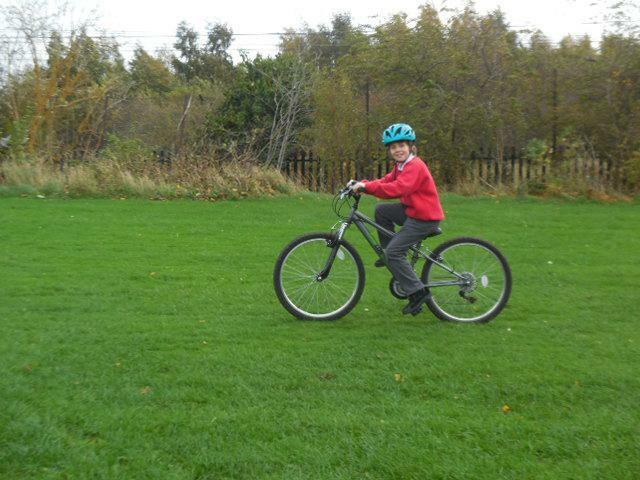 Ethan said he learned how to use his bike gears correctly and when to change them. 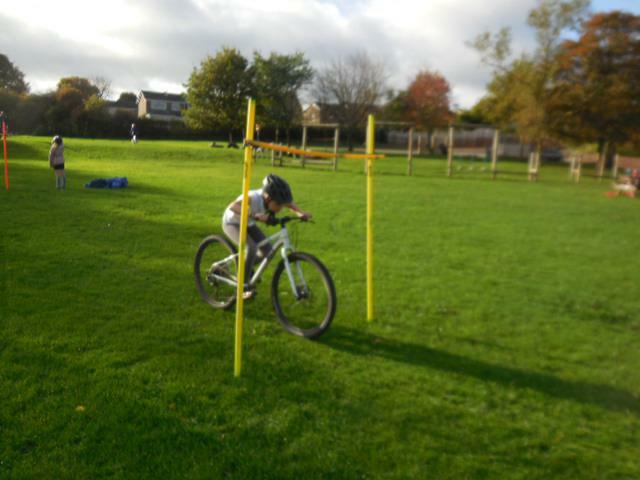 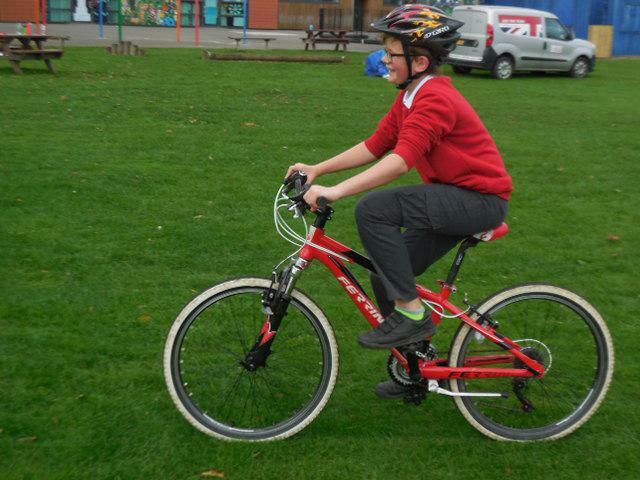 Pupils were also shown the best way to position their pedals and the best line to take when cornering.